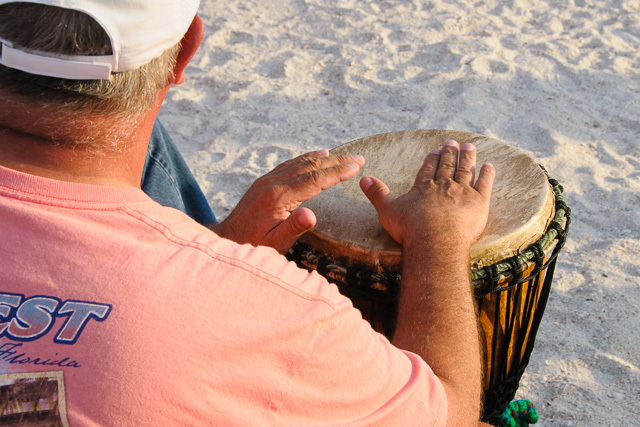 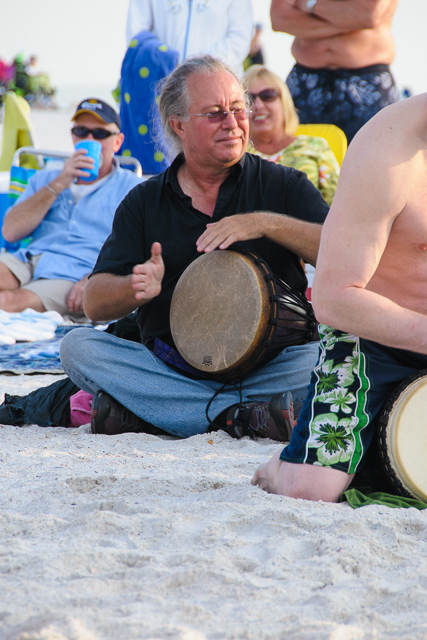 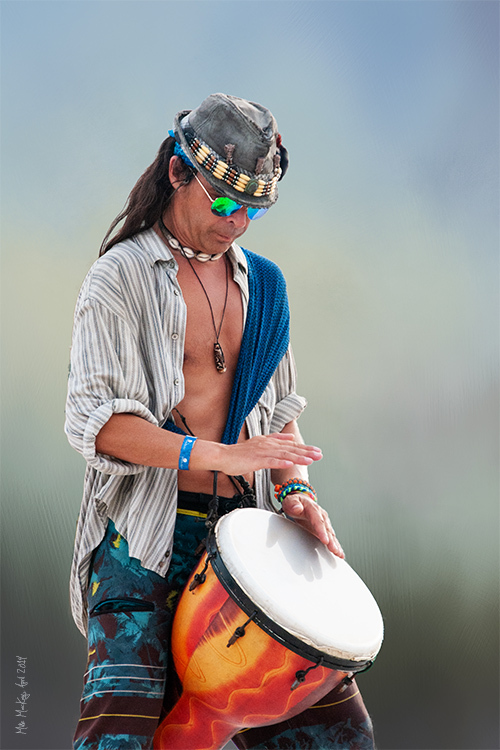 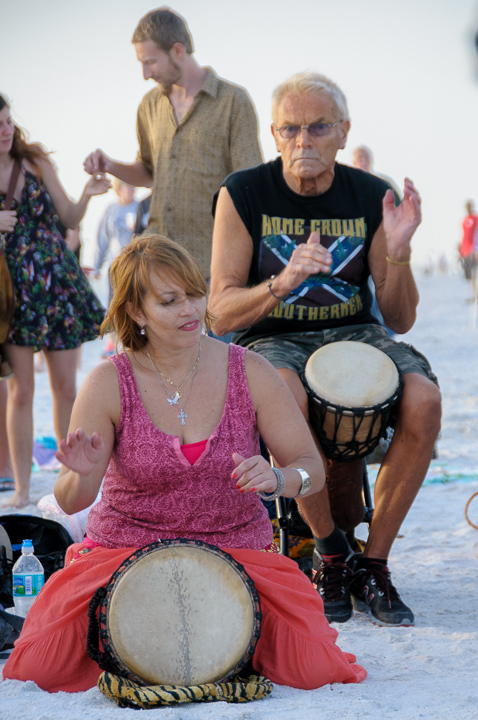 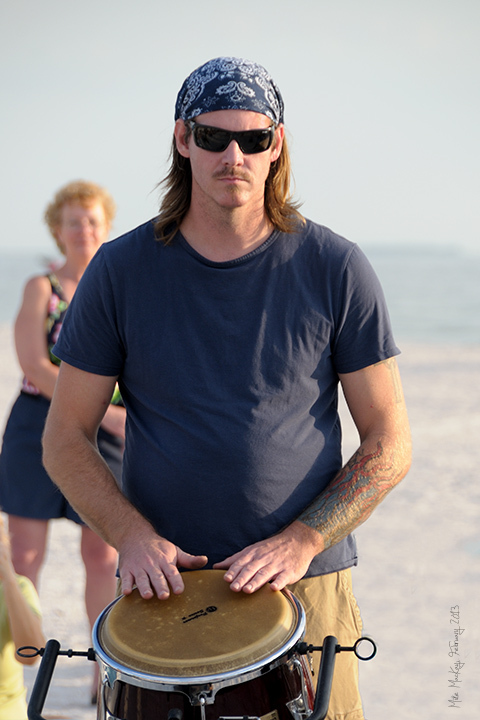 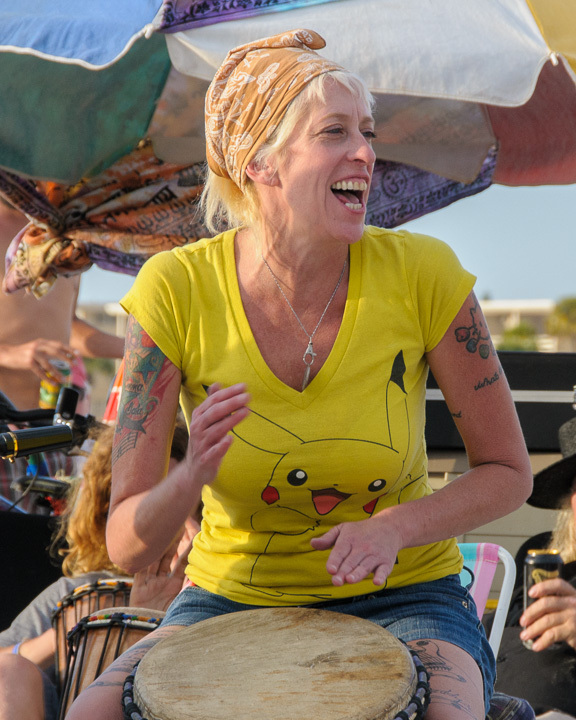 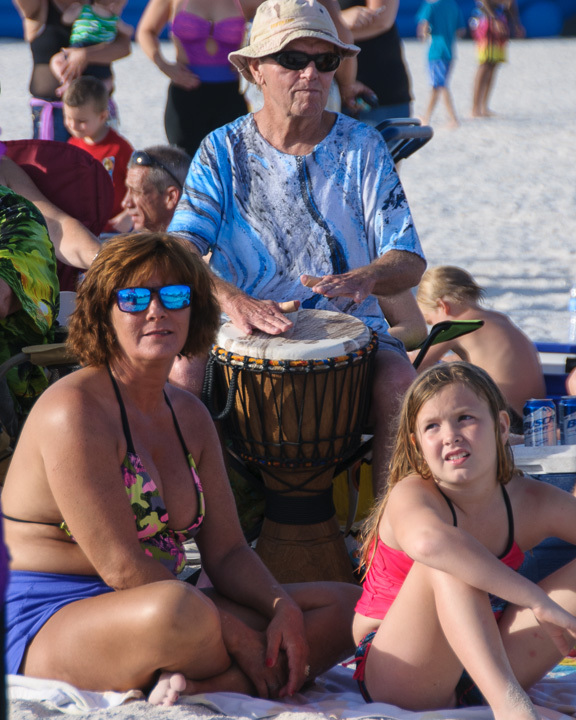 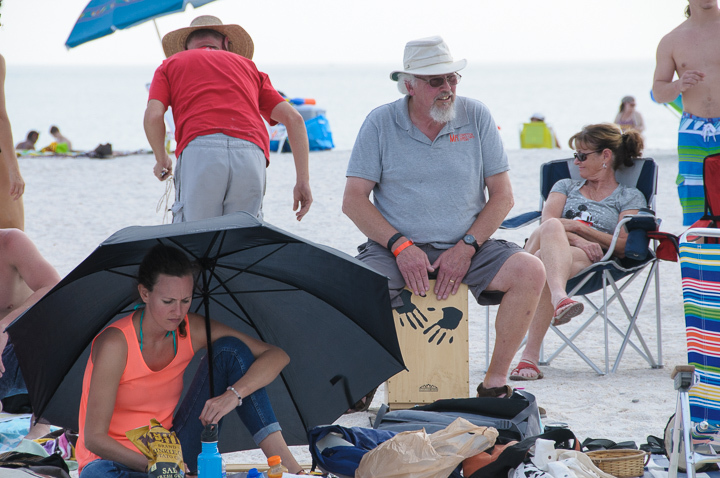 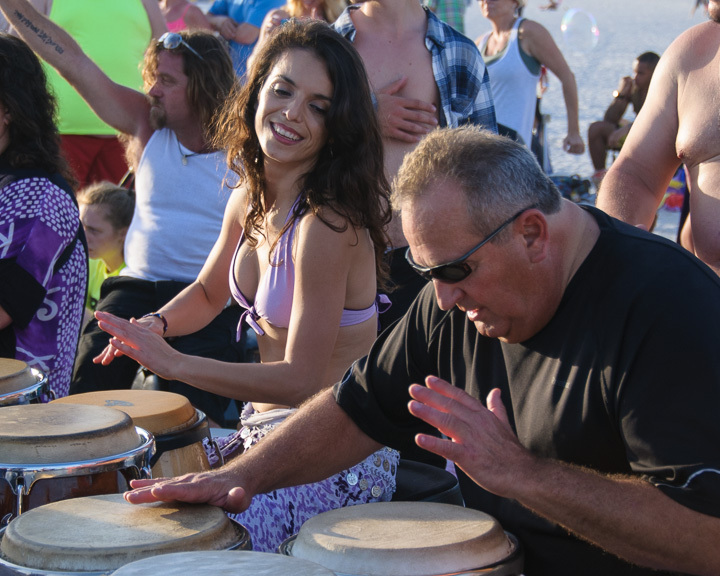 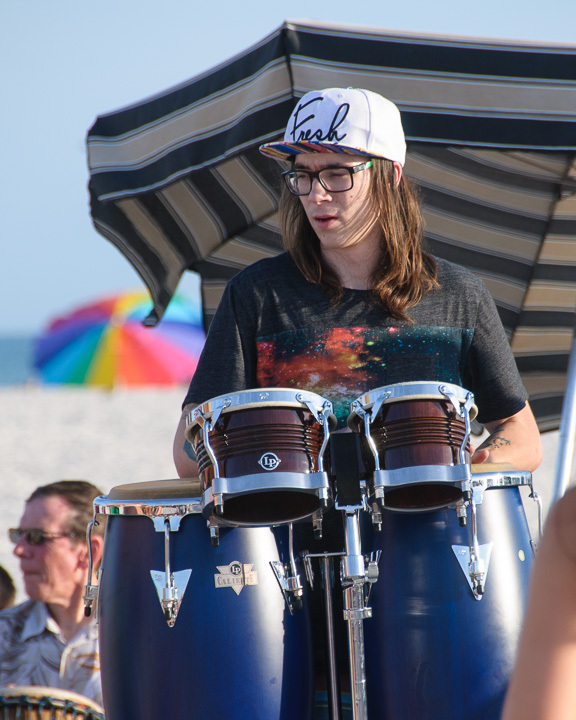 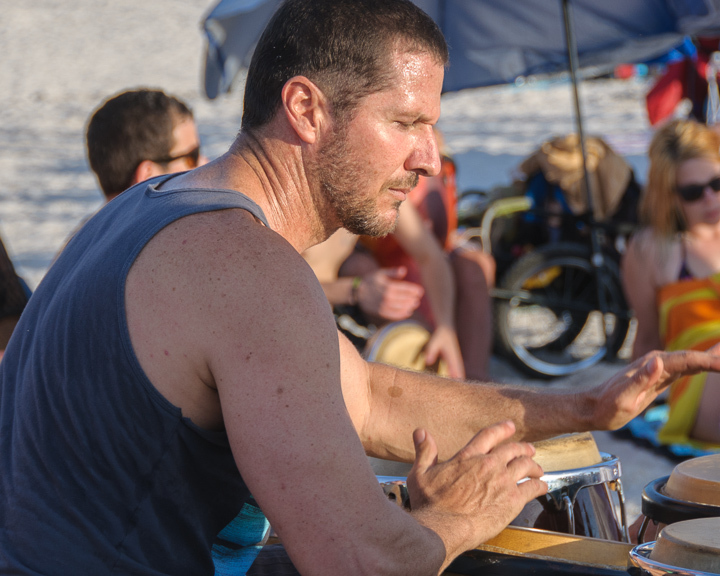 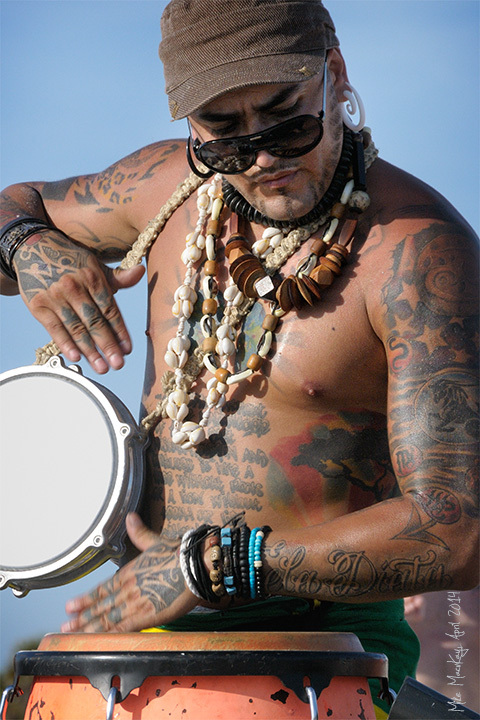 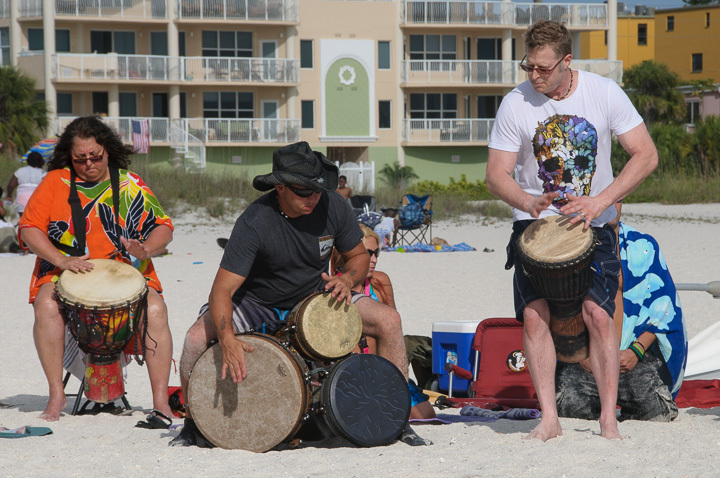 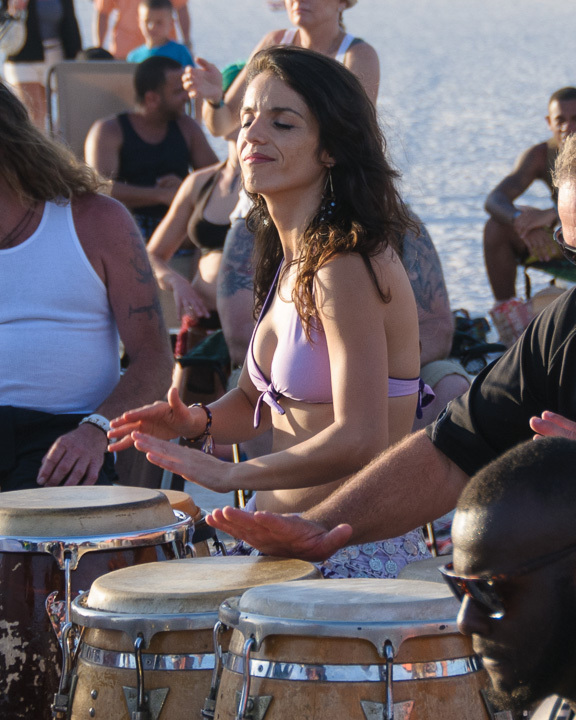 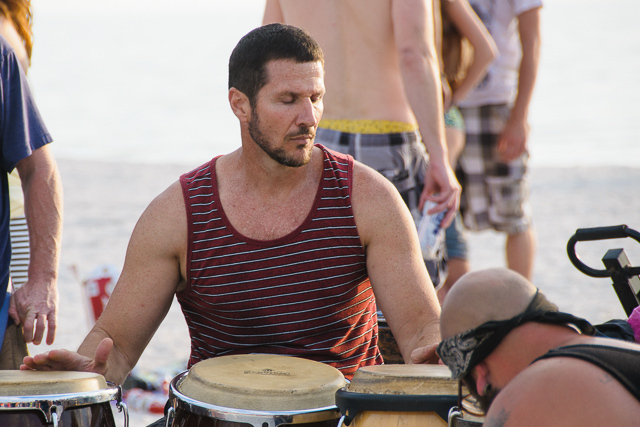 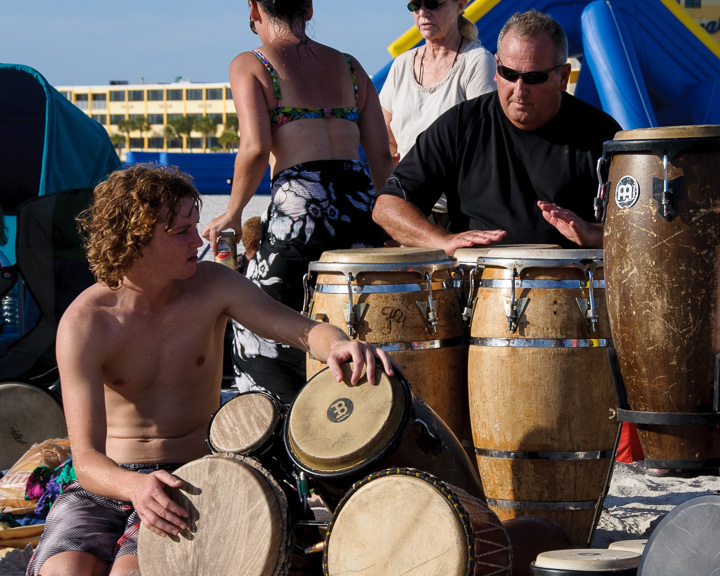 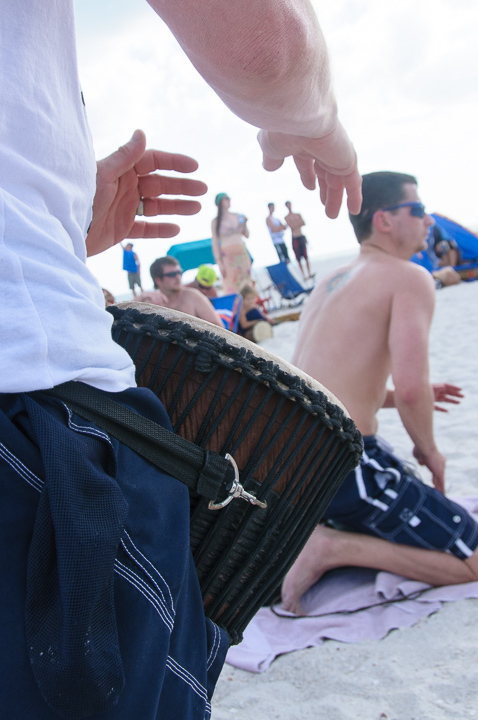 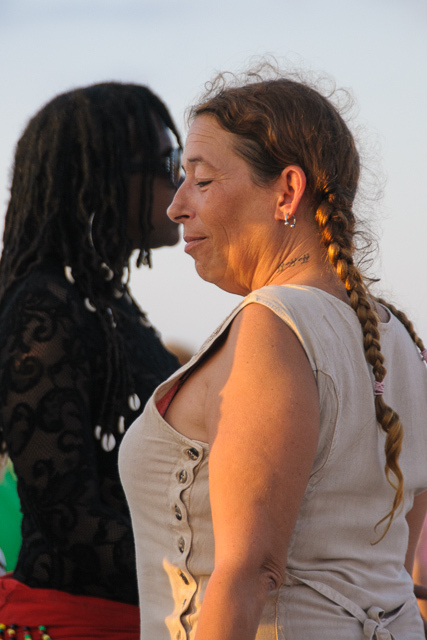 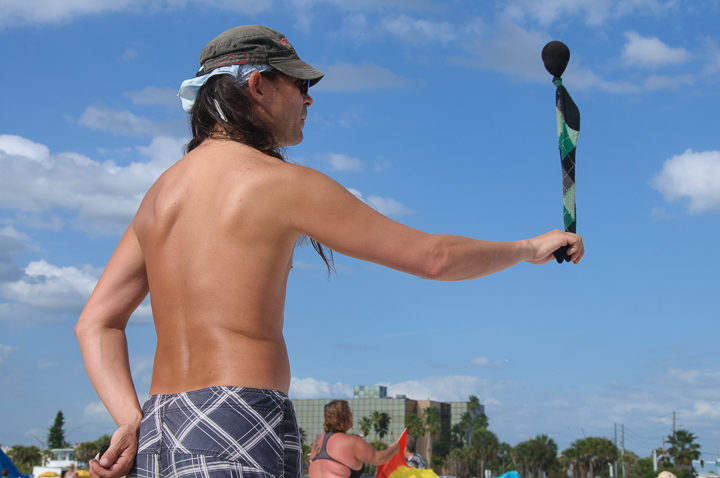 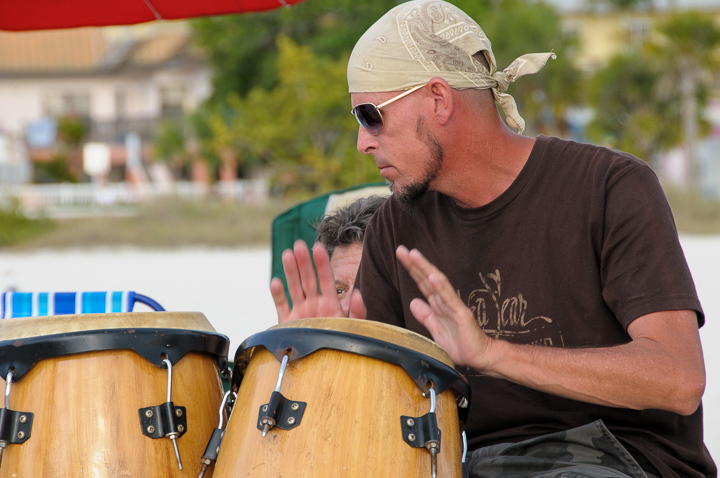 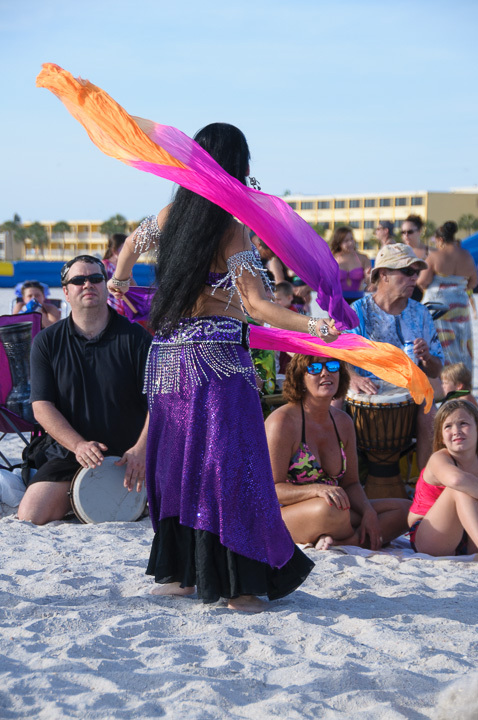 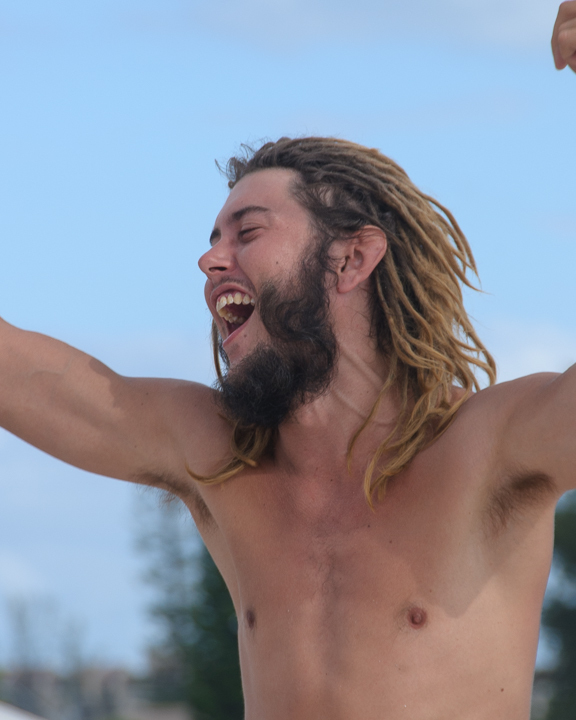 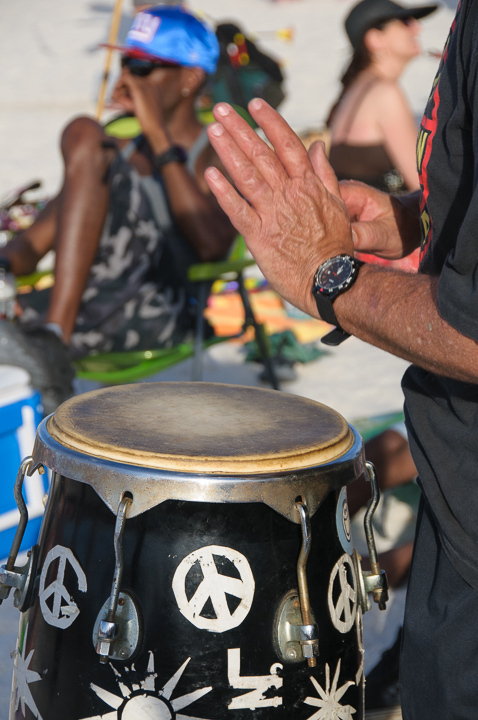 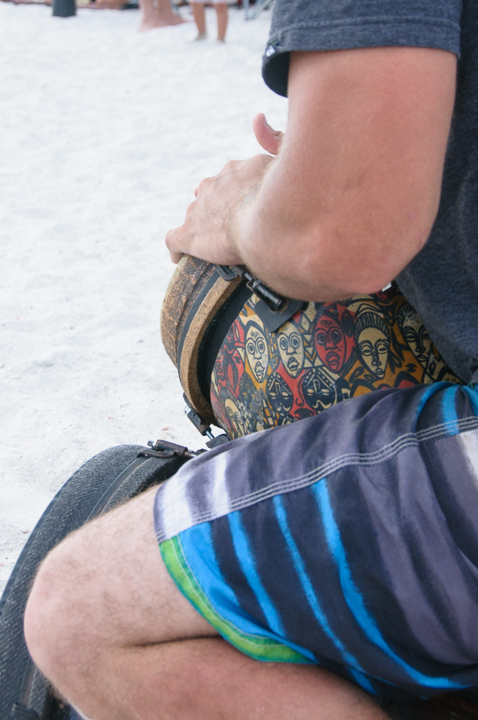 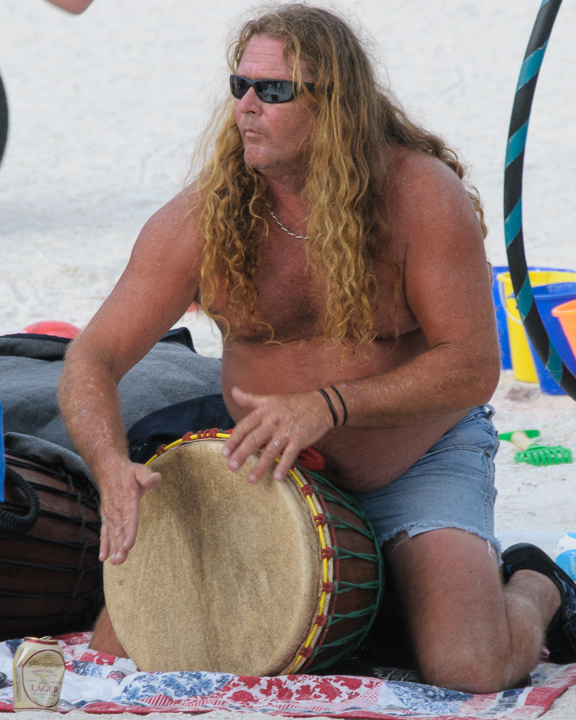 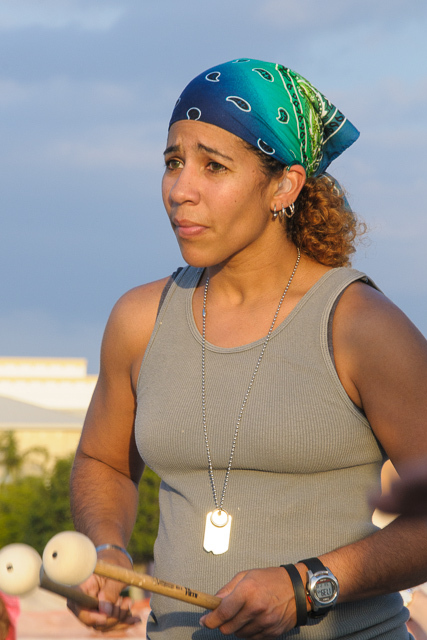 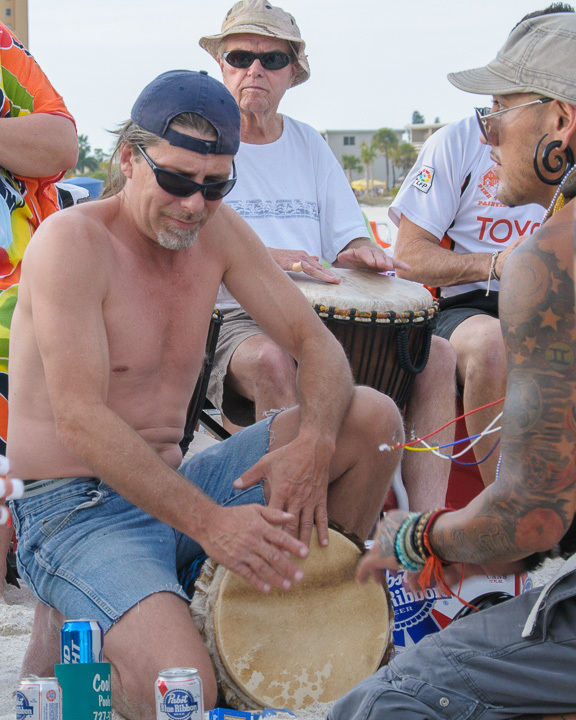 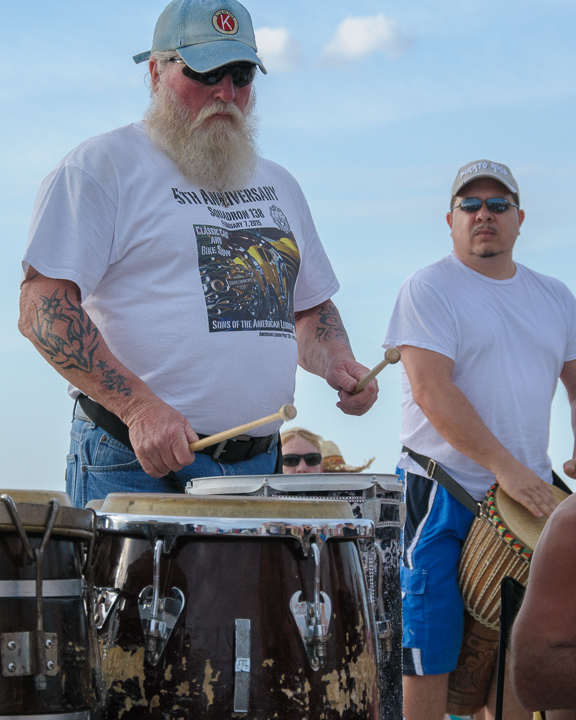 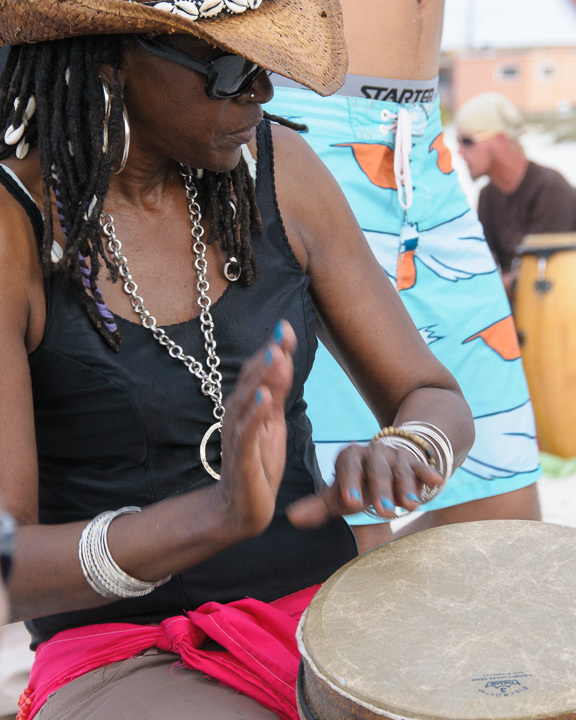 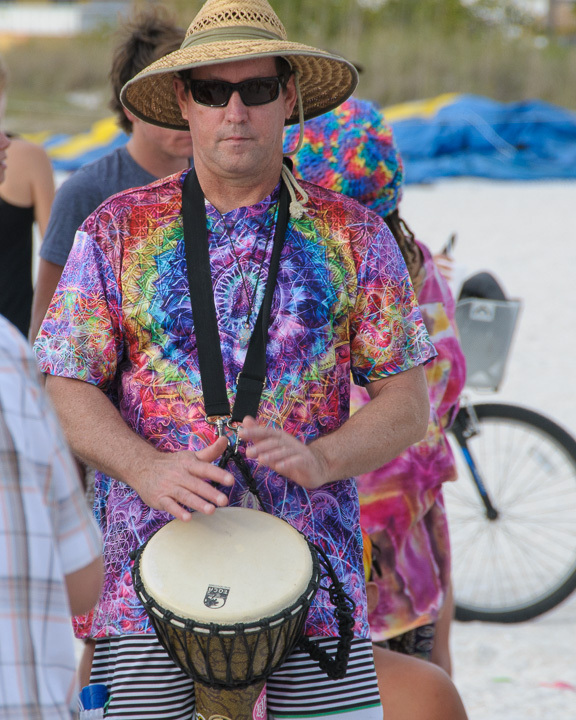 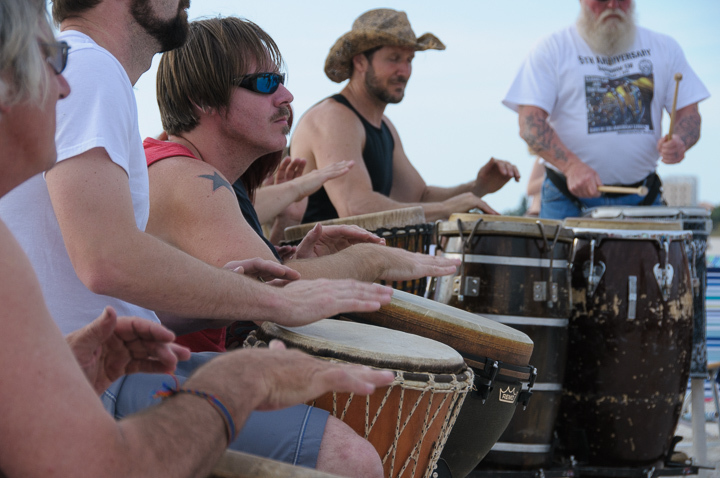 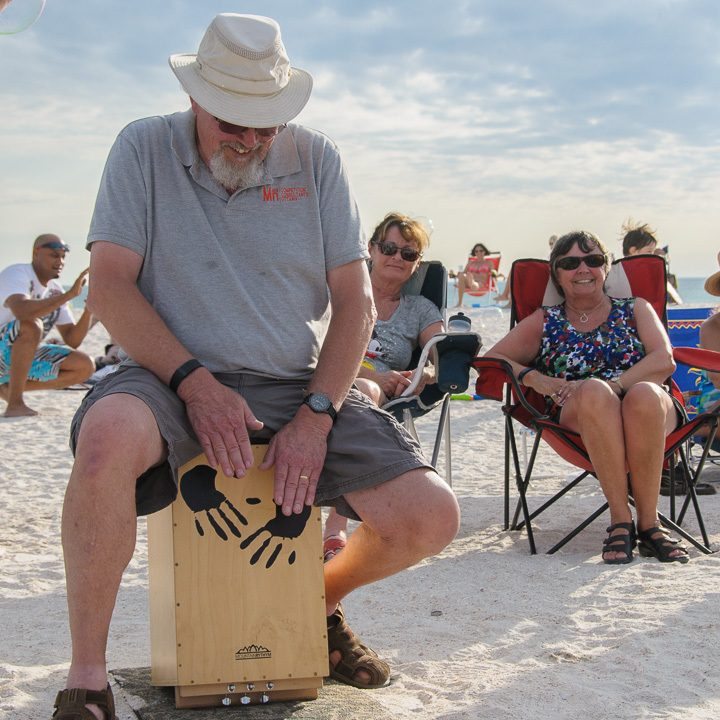 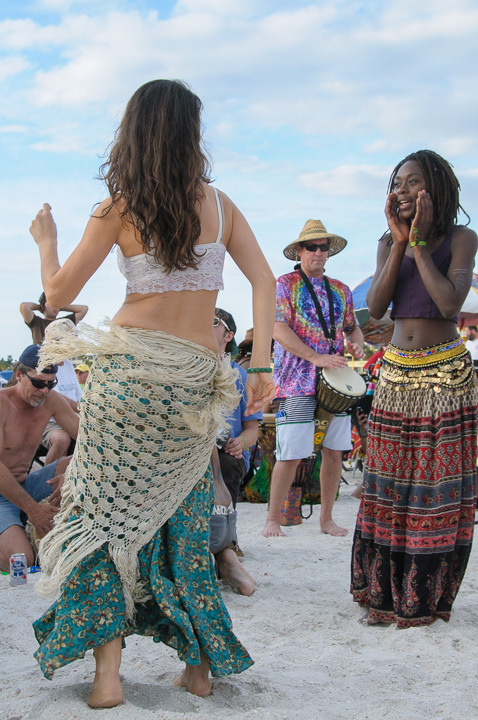 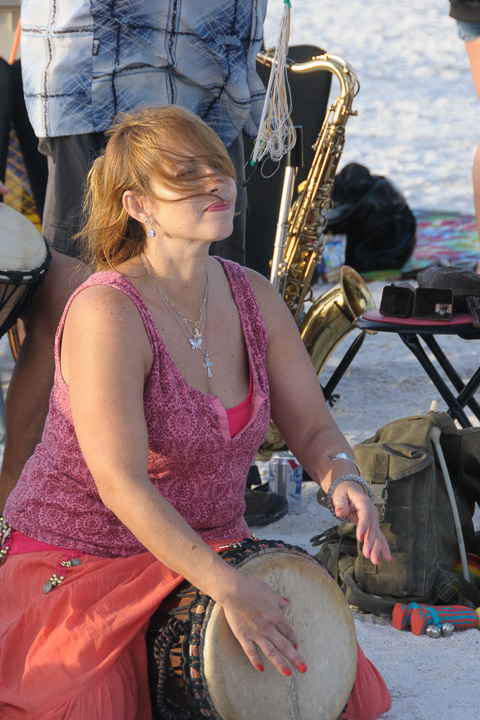 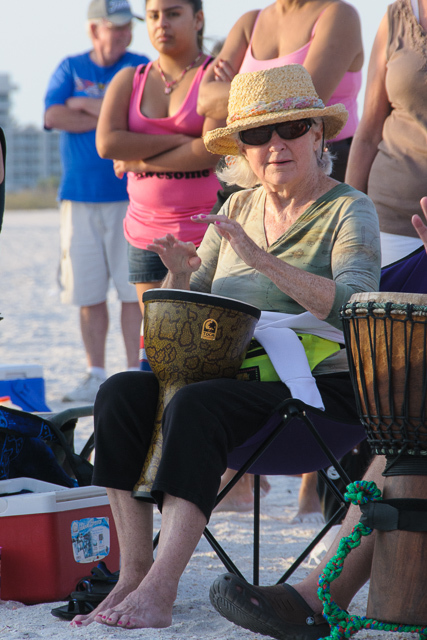 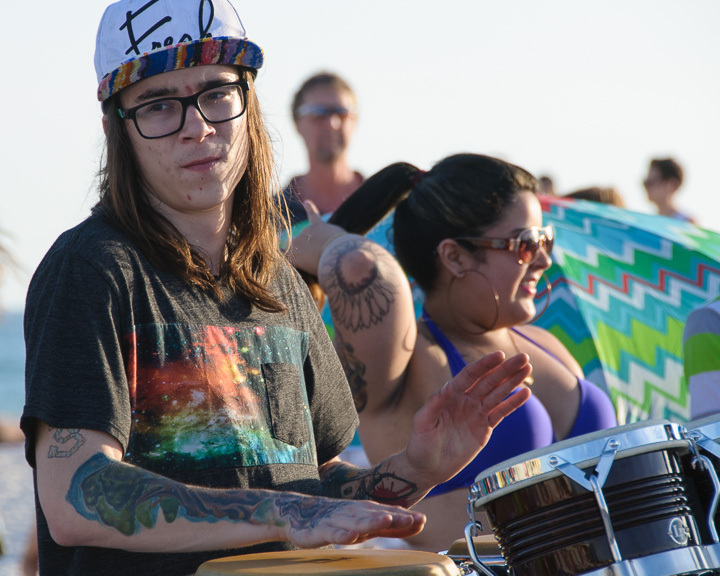 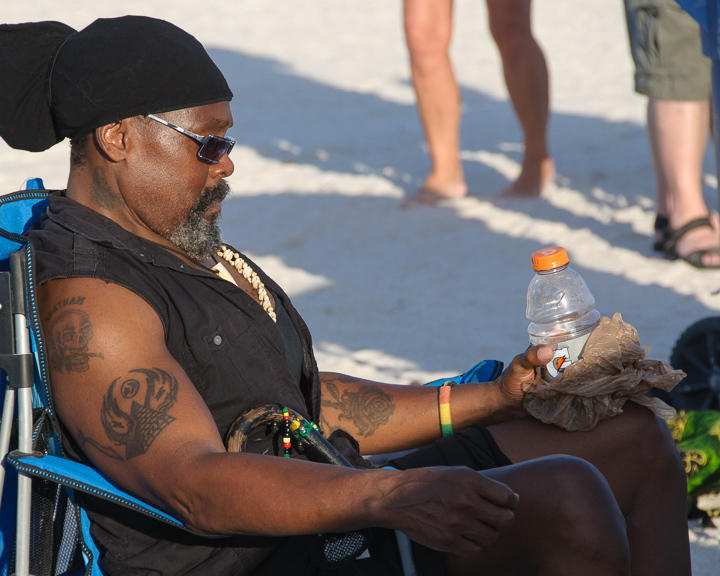 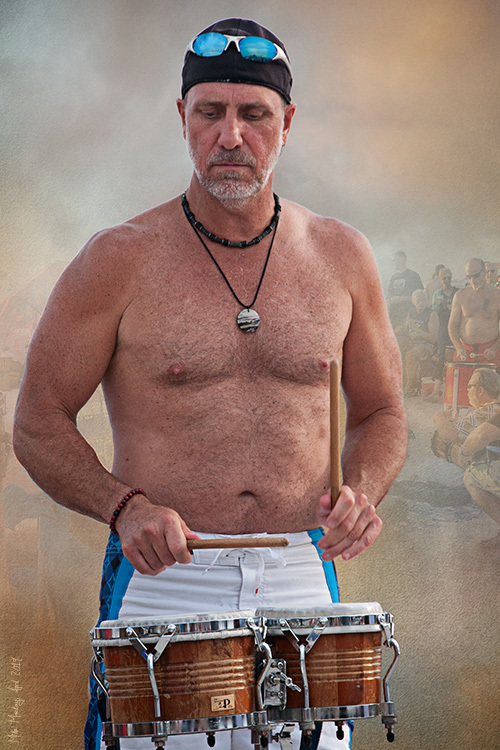 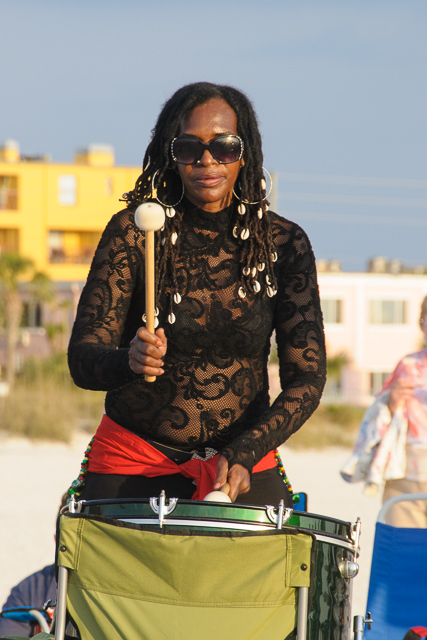 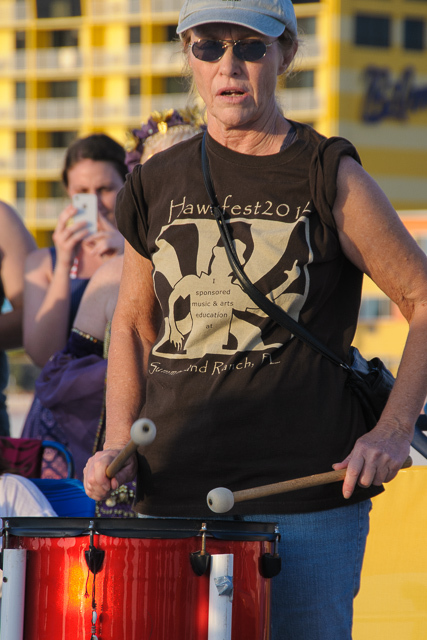 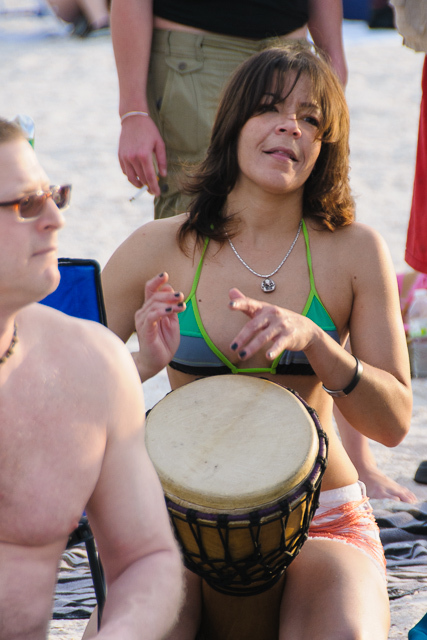 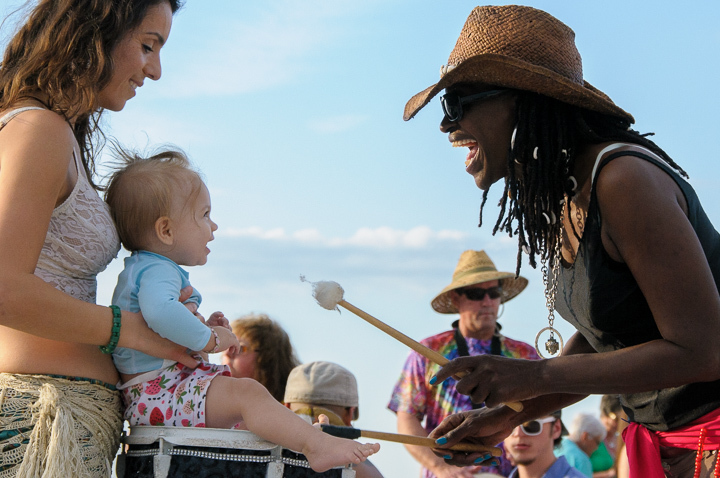 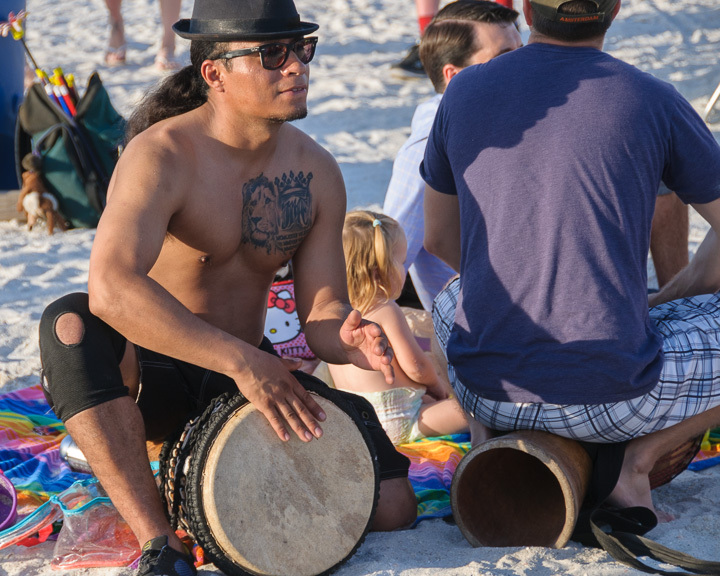 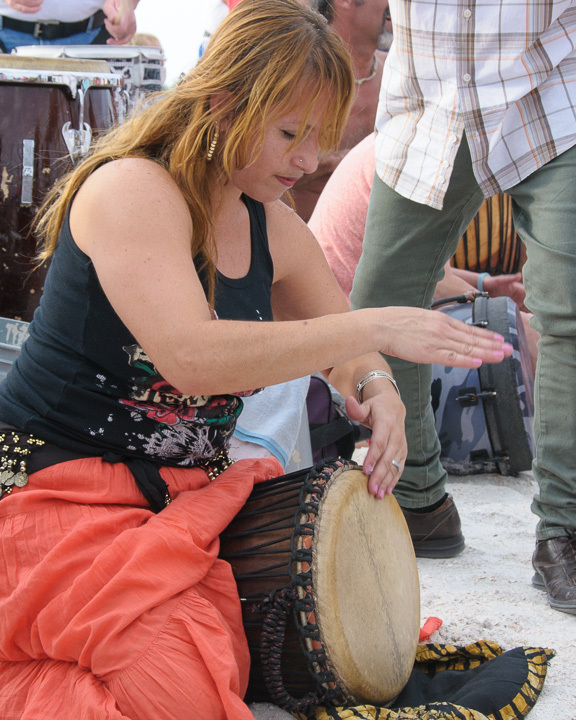 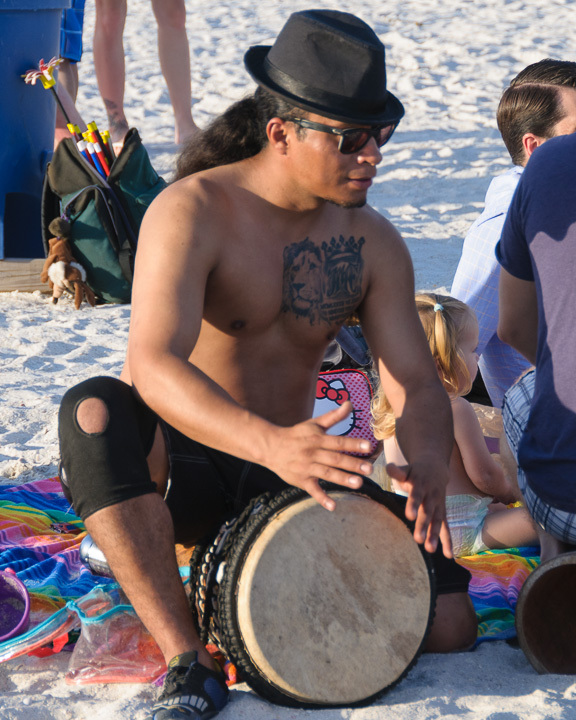 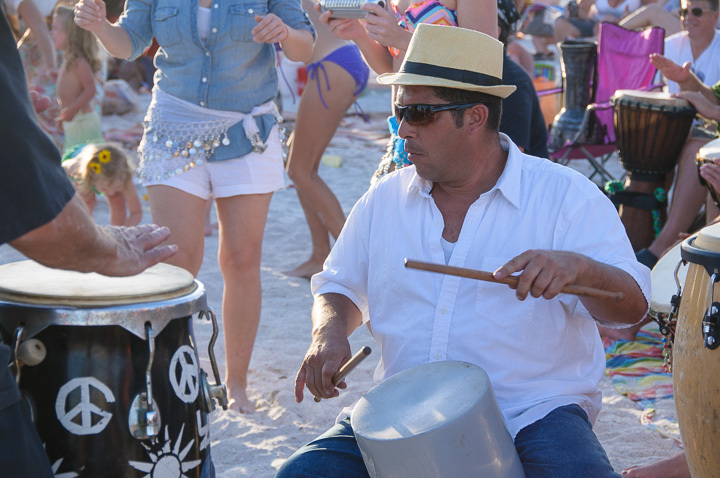 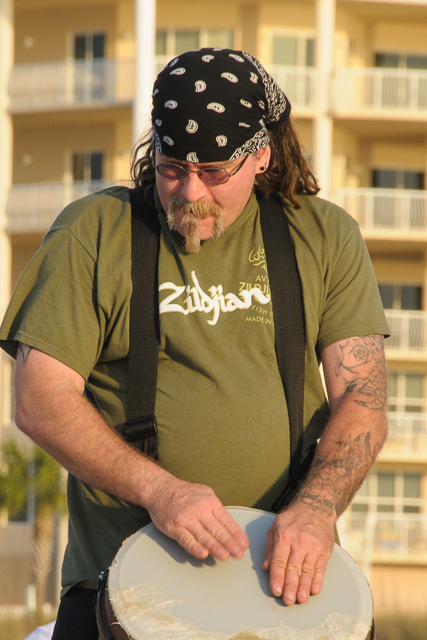 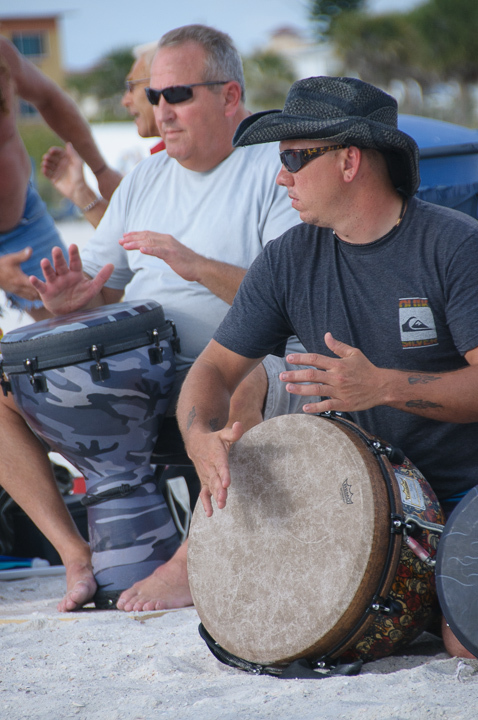 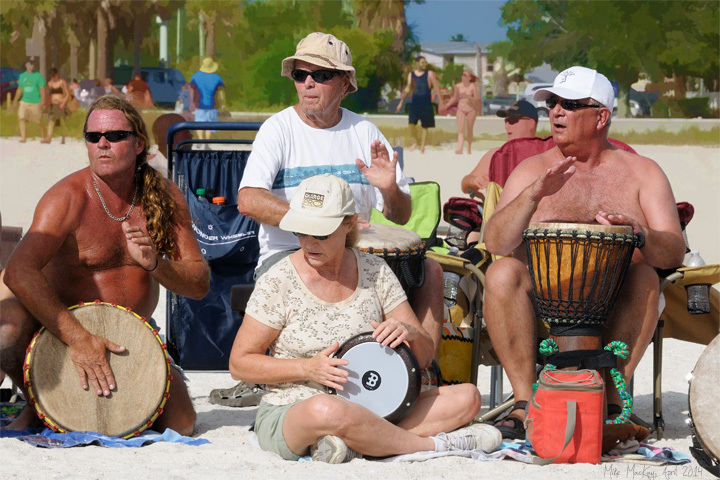 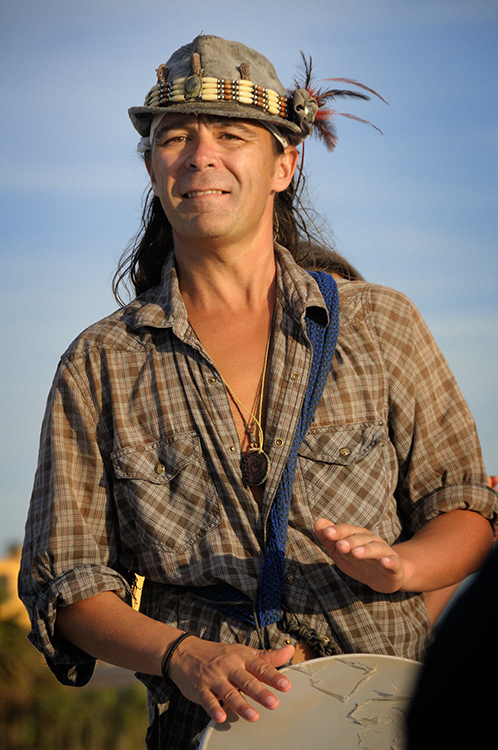 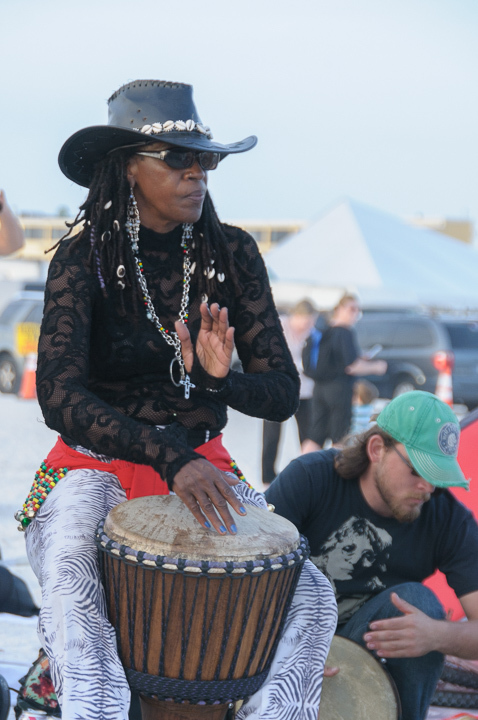 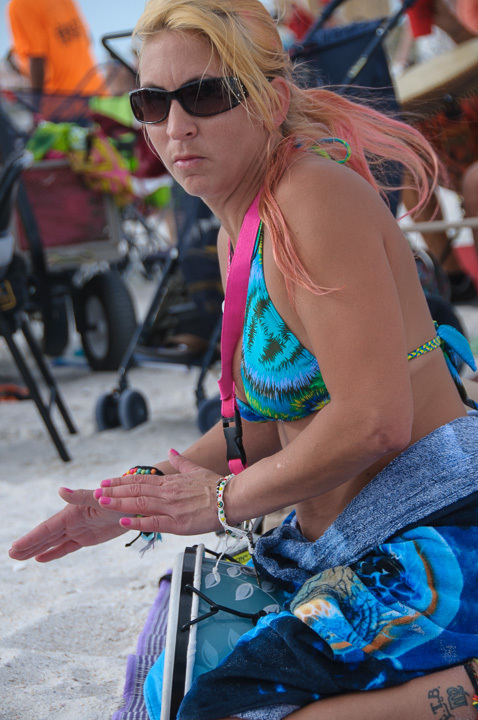 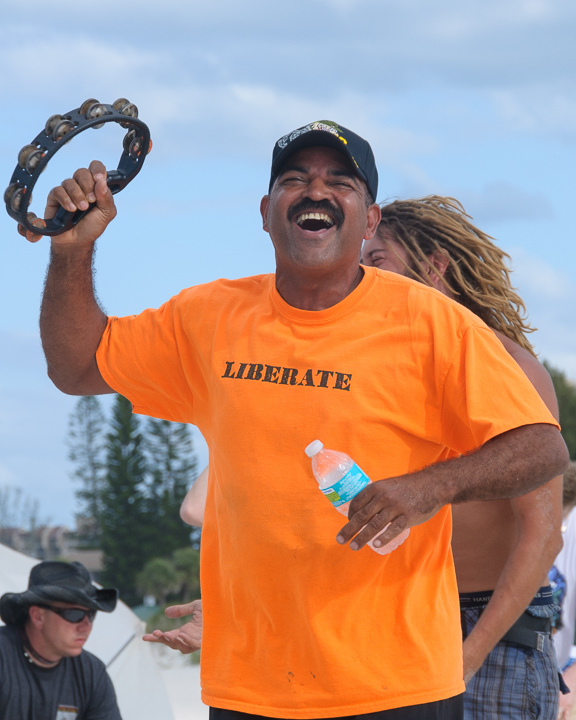 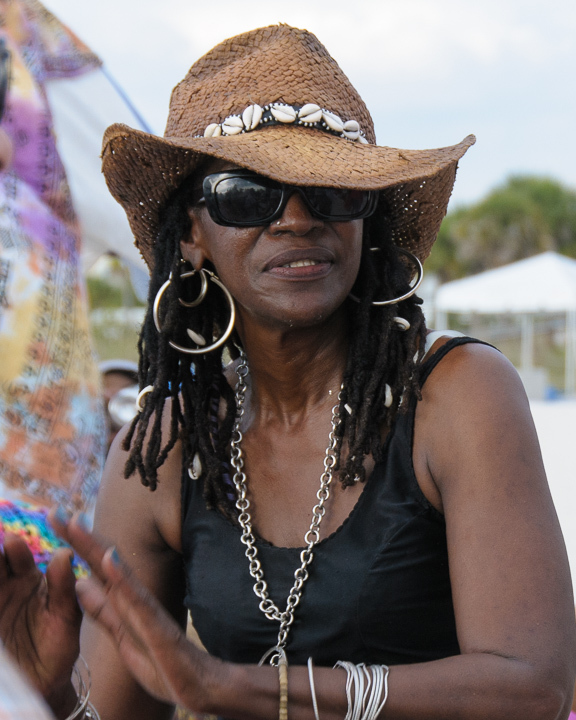 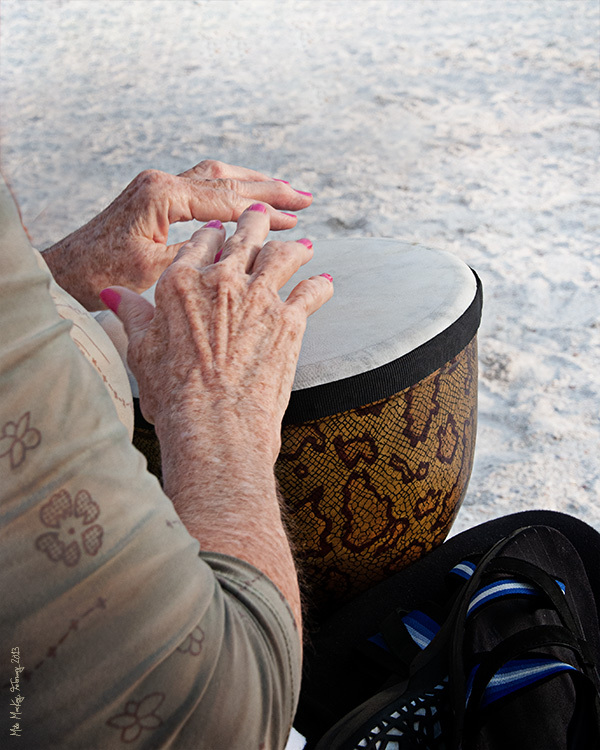 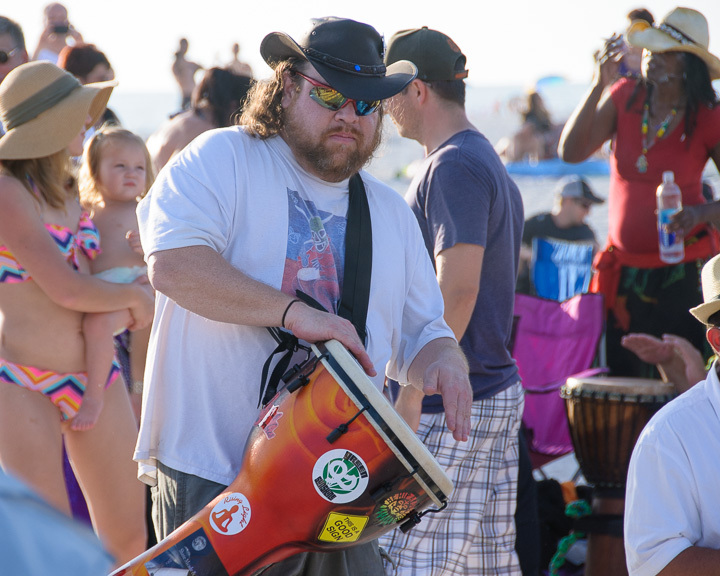 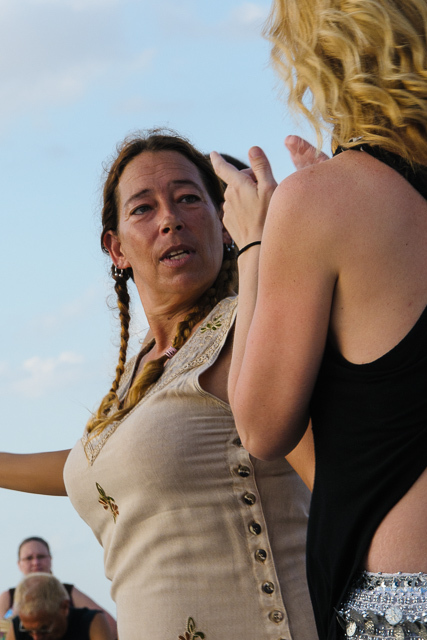 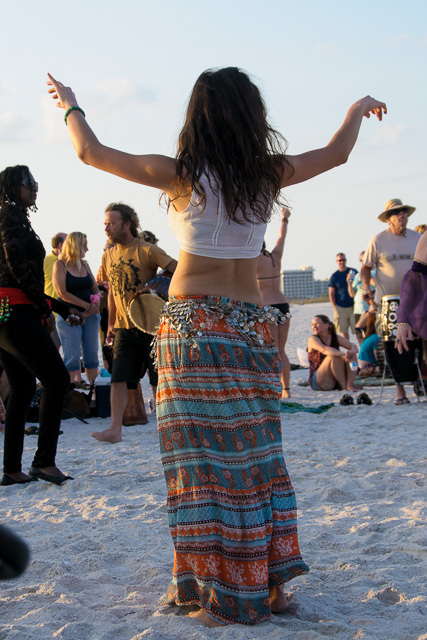 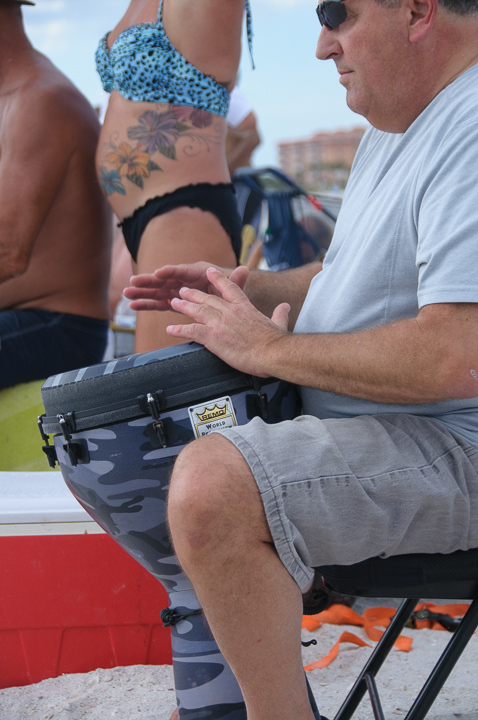 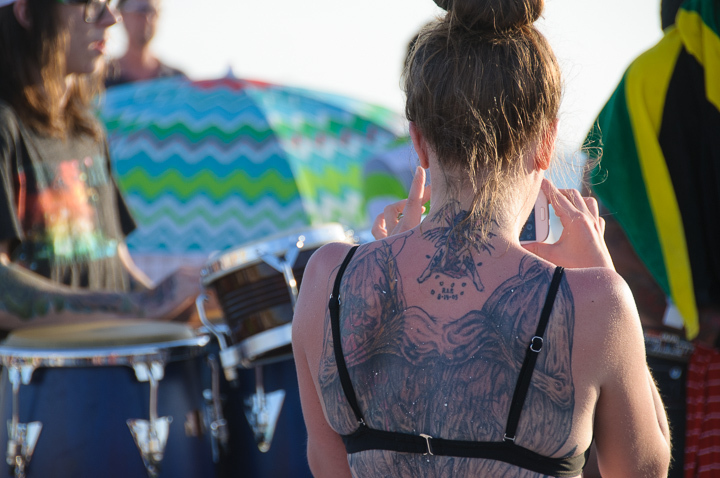 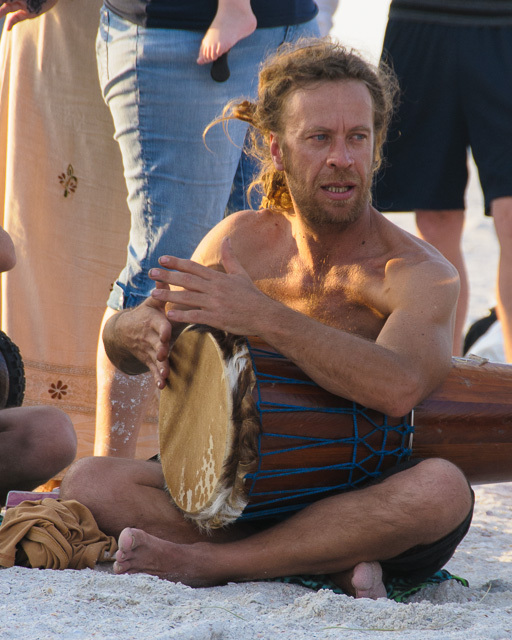 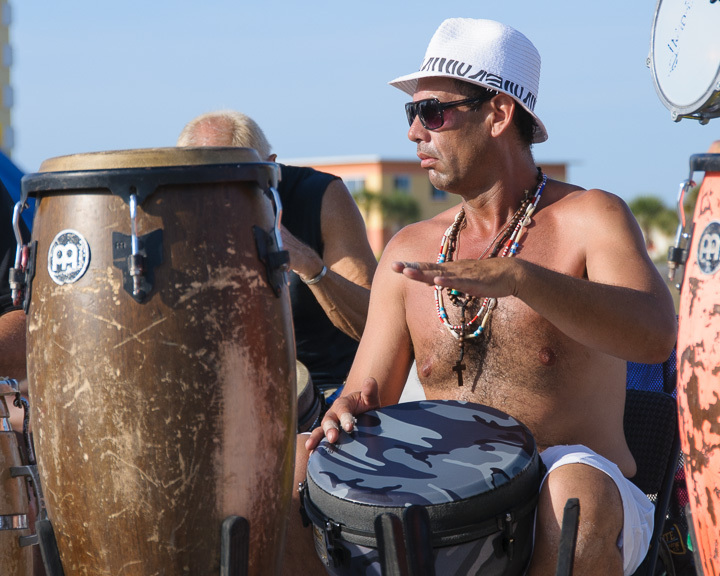 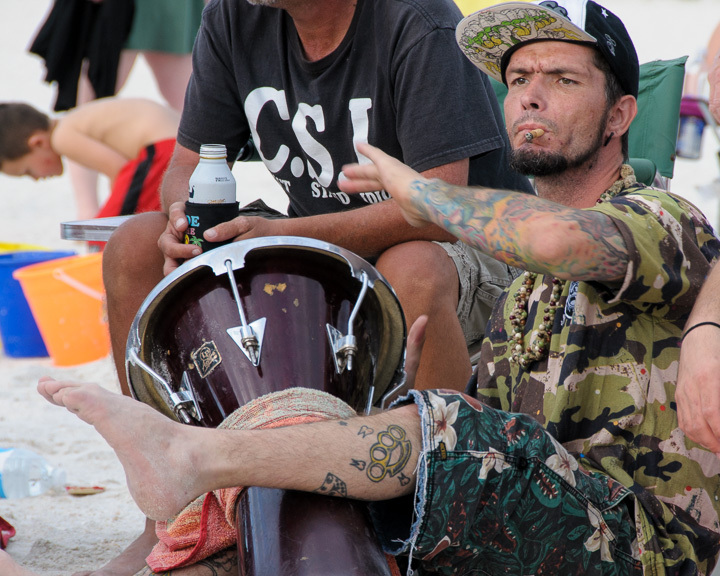 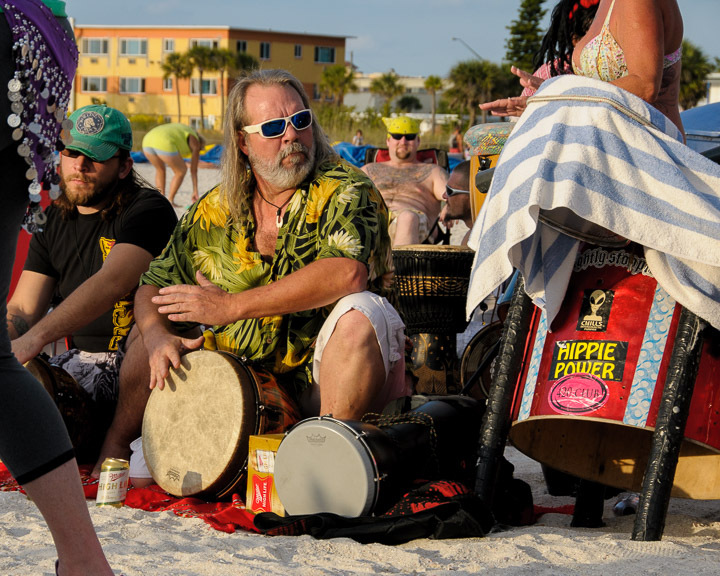 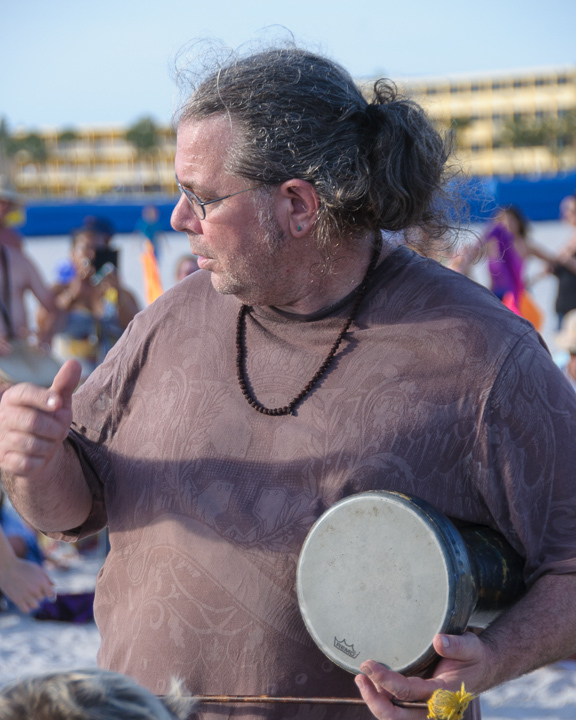 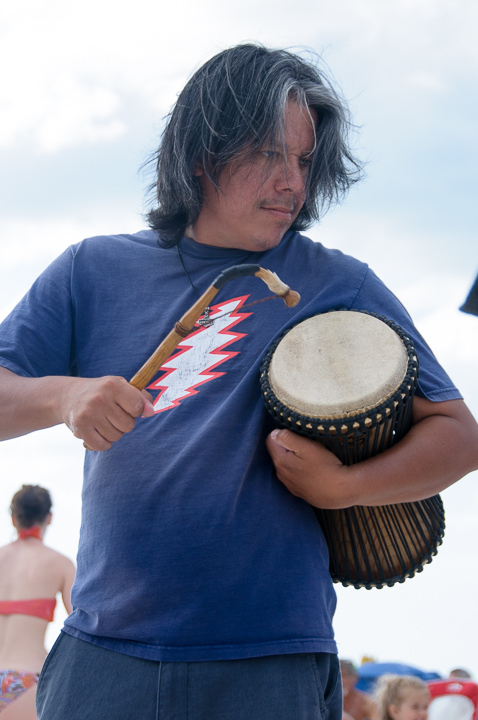 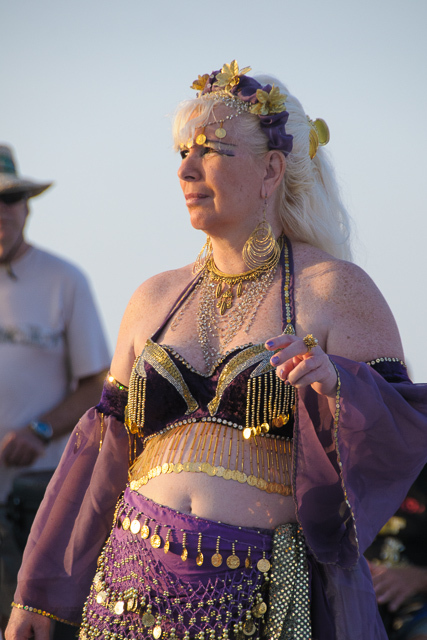 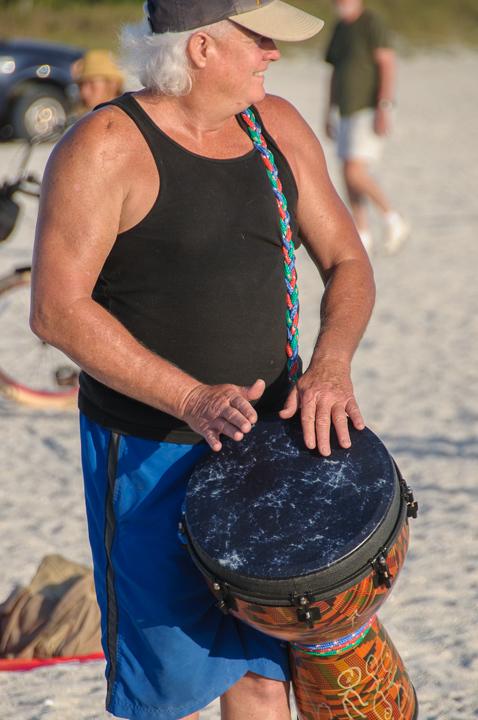 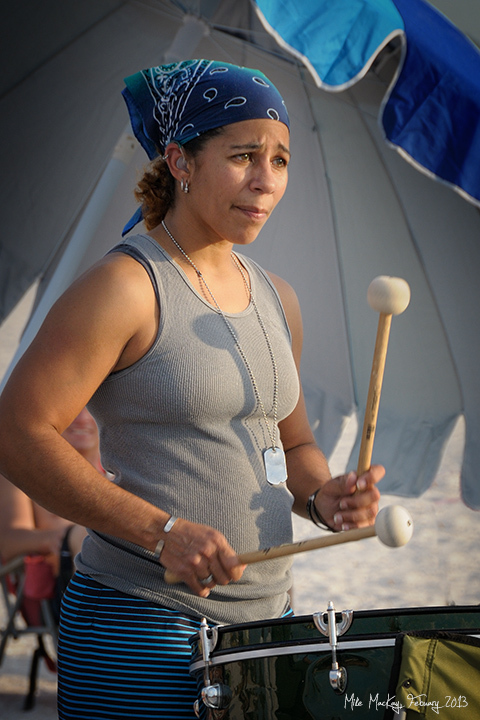 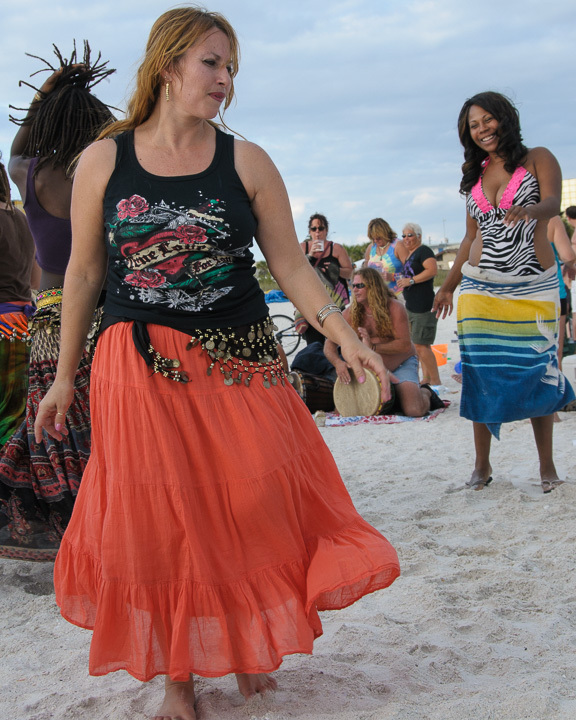 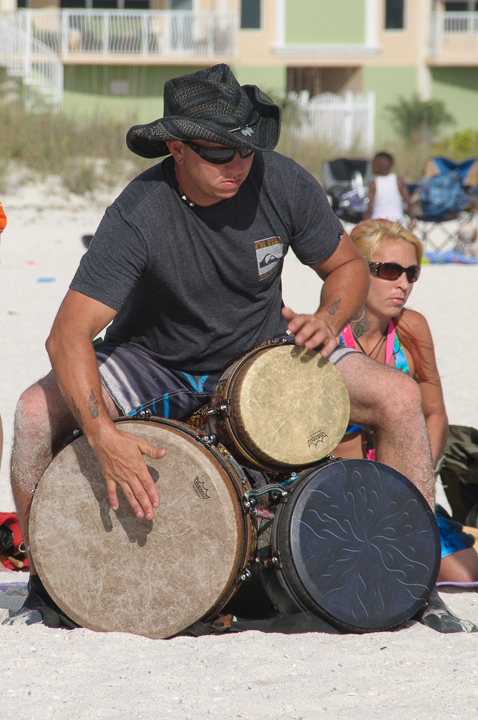 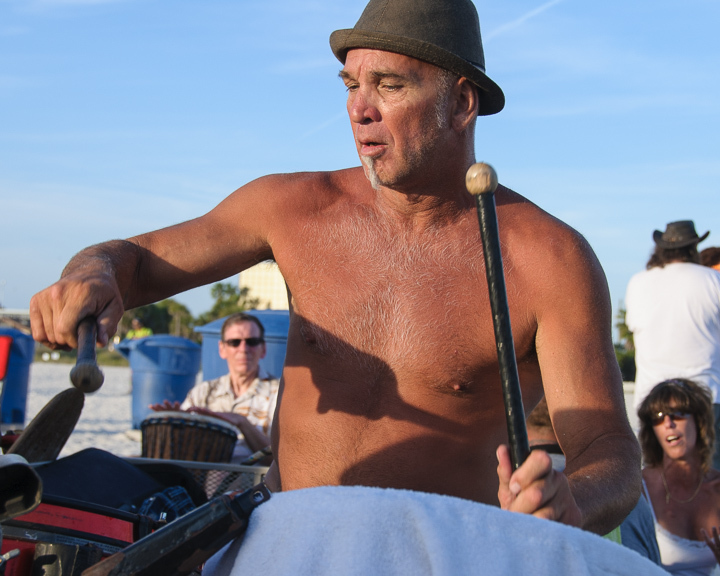 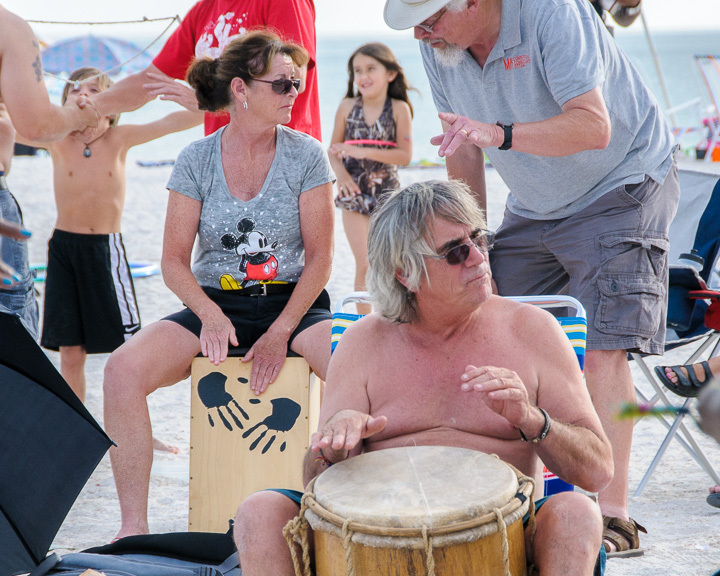 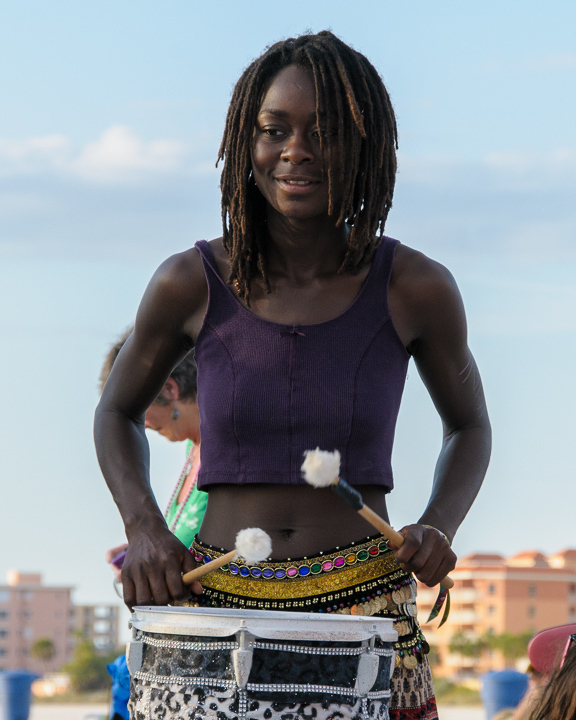 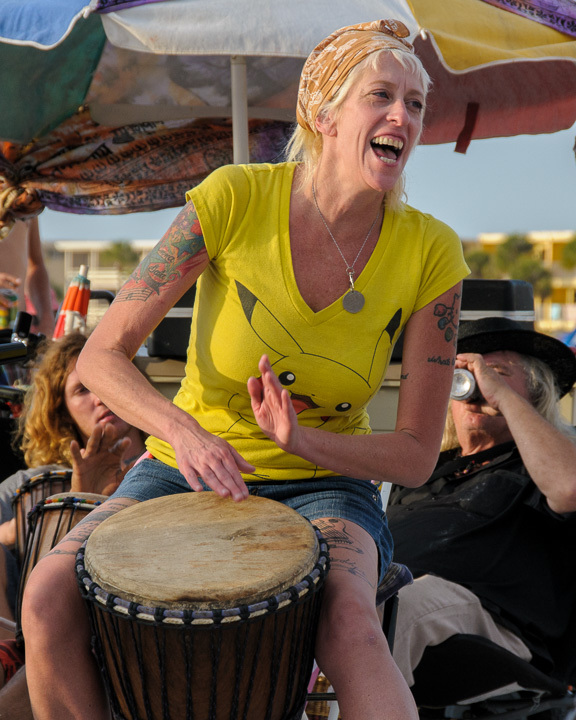 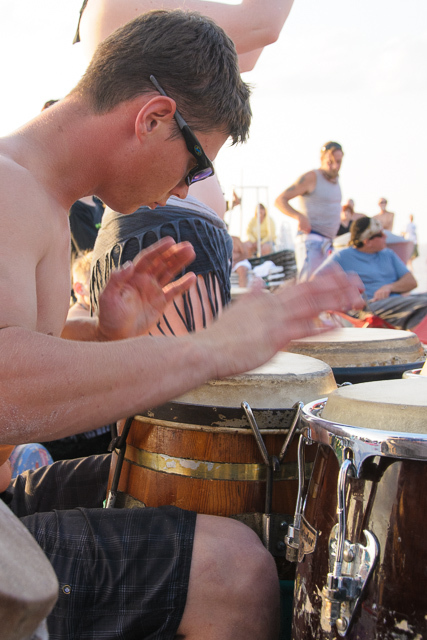 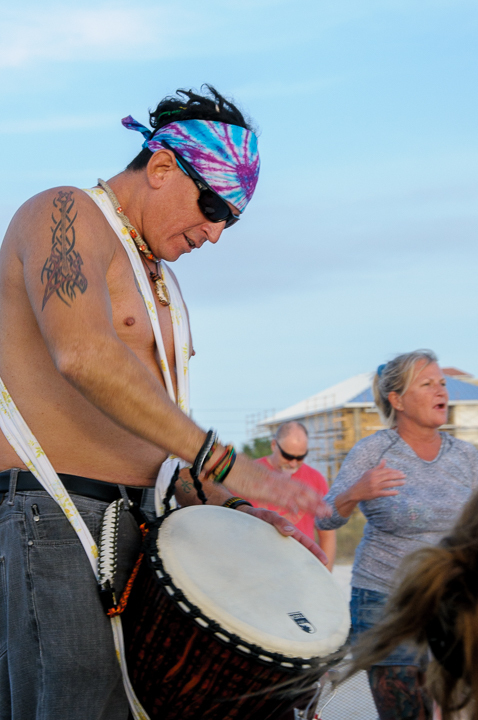 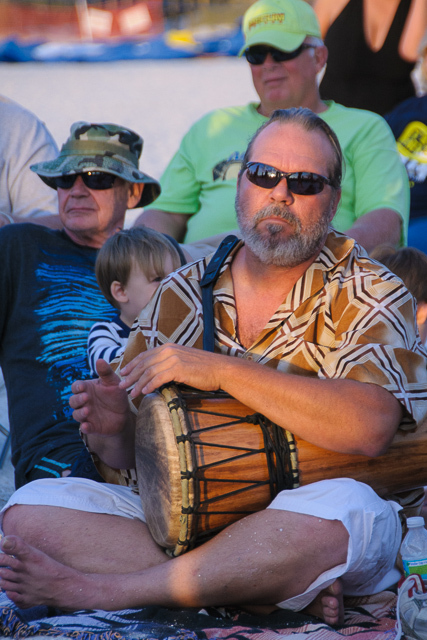 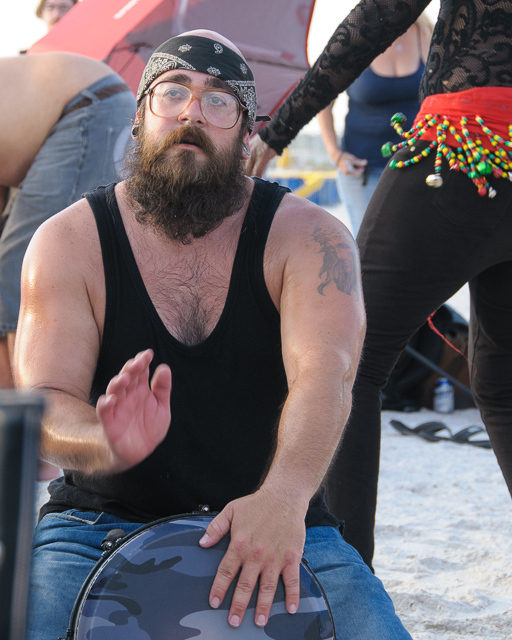 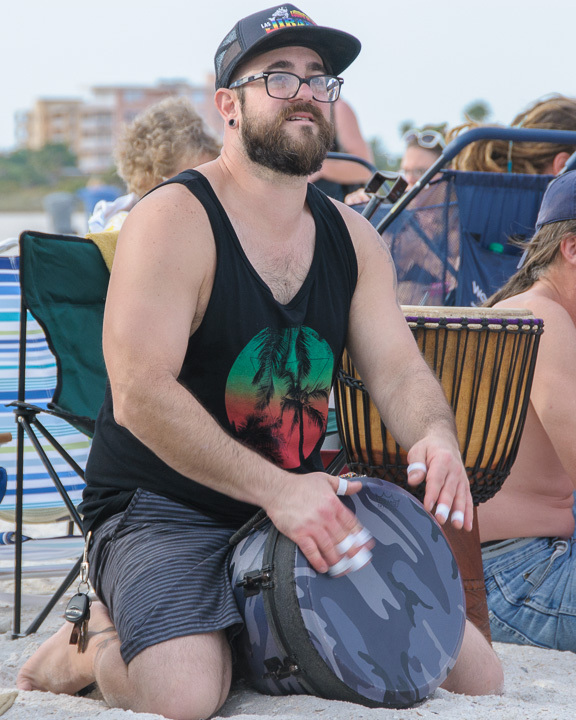 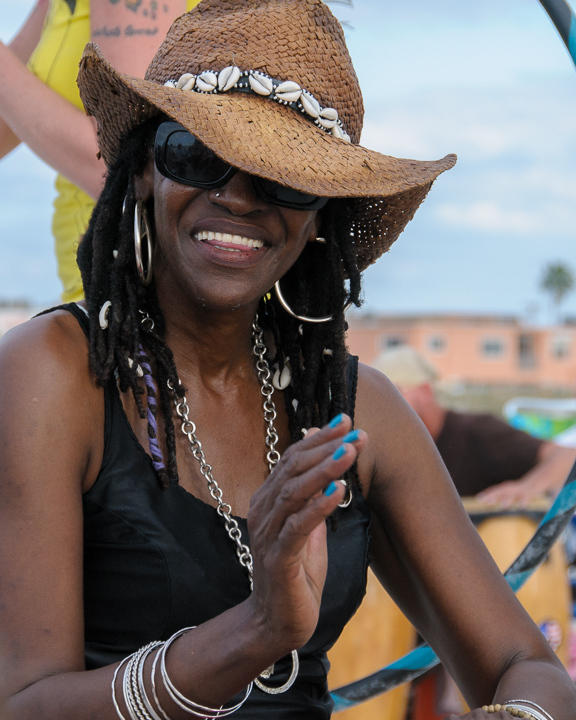 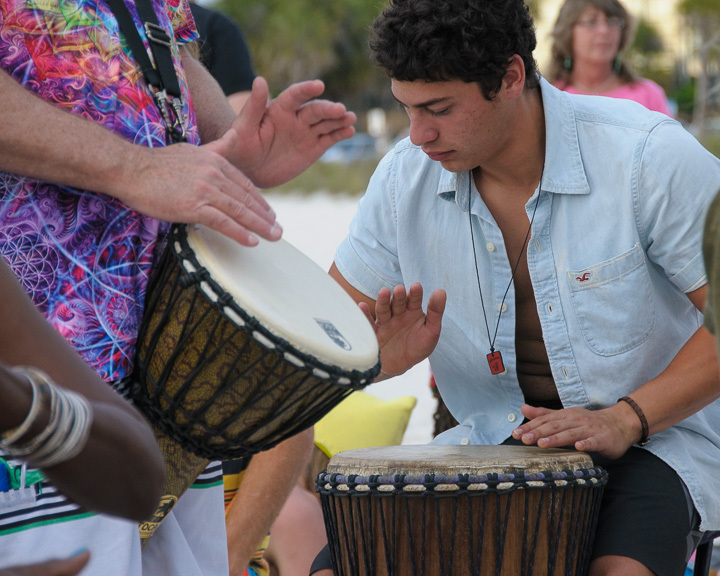 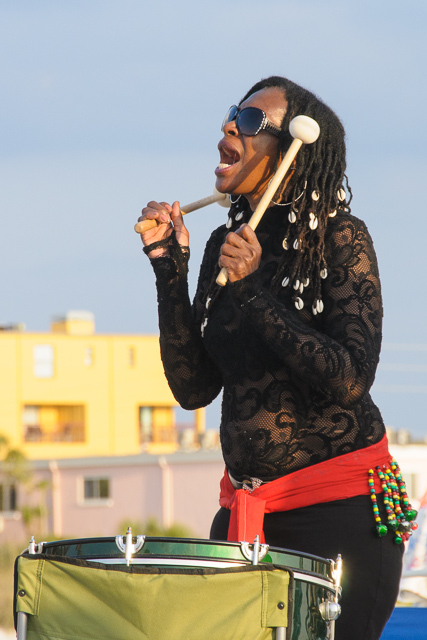 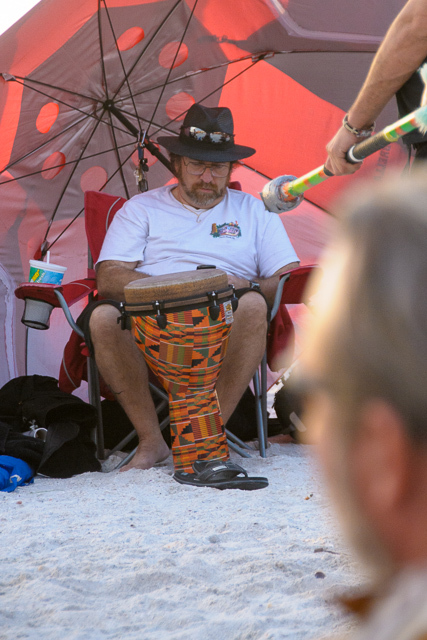 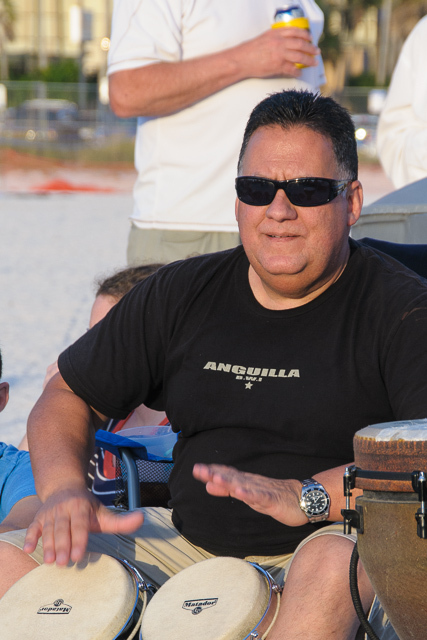 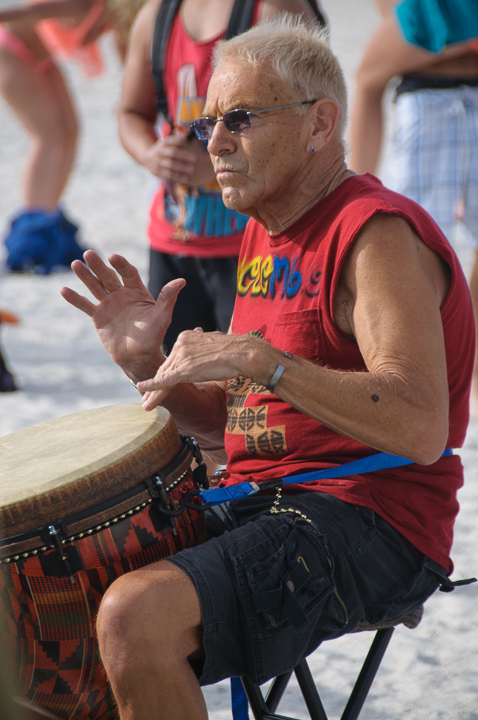 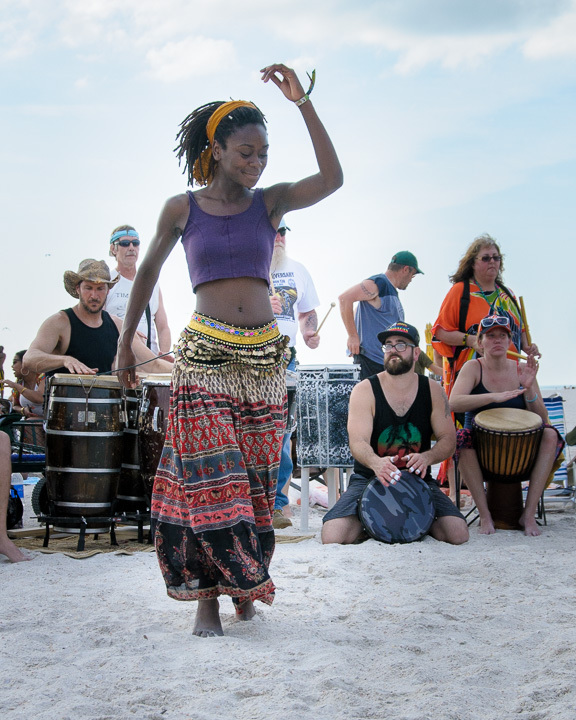 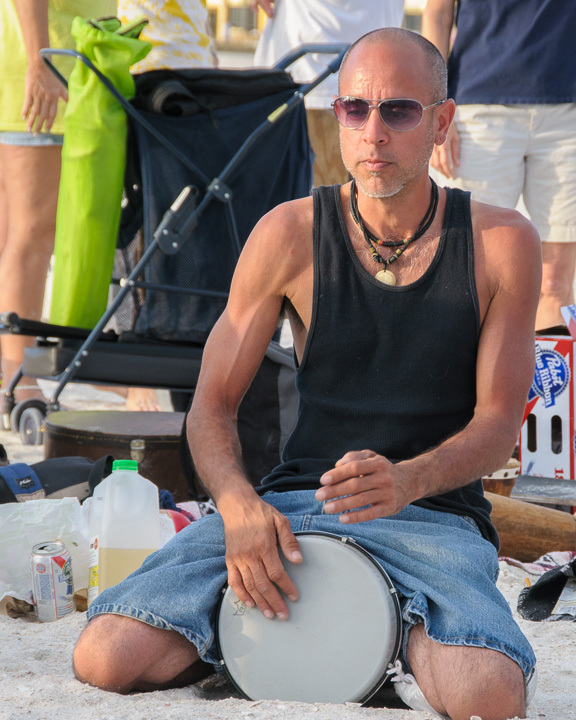 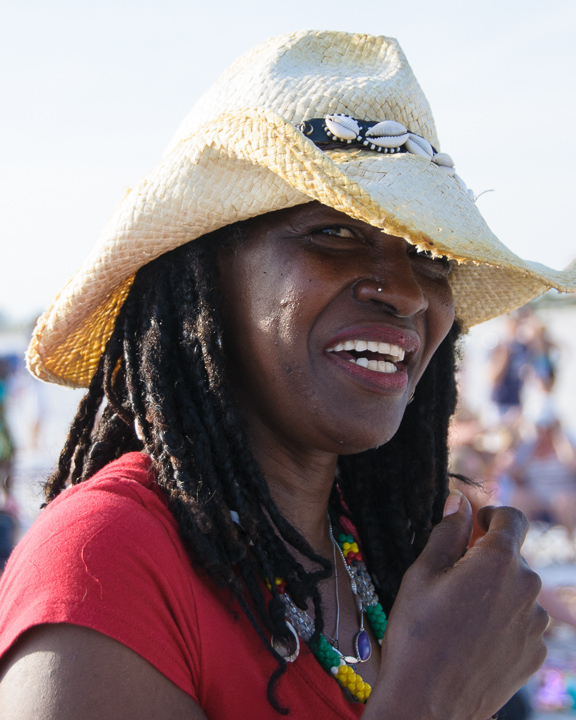 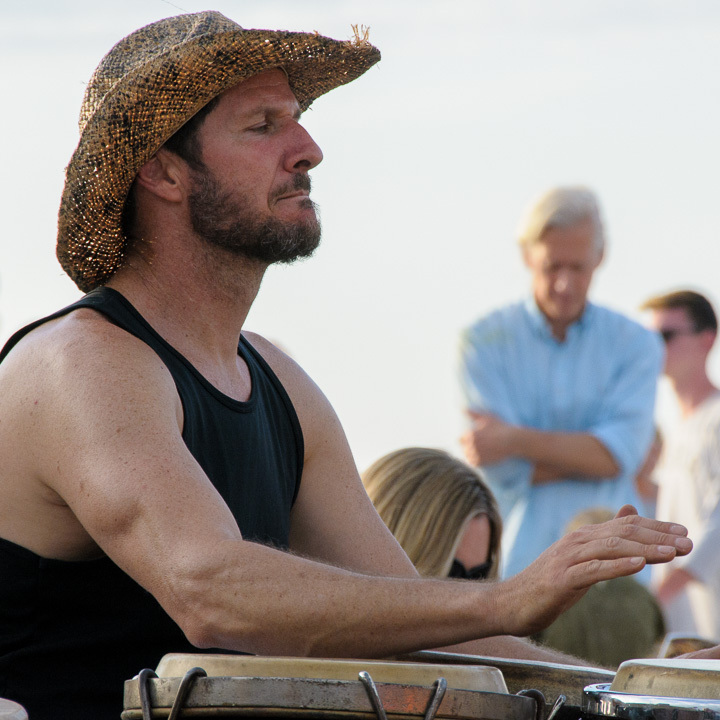 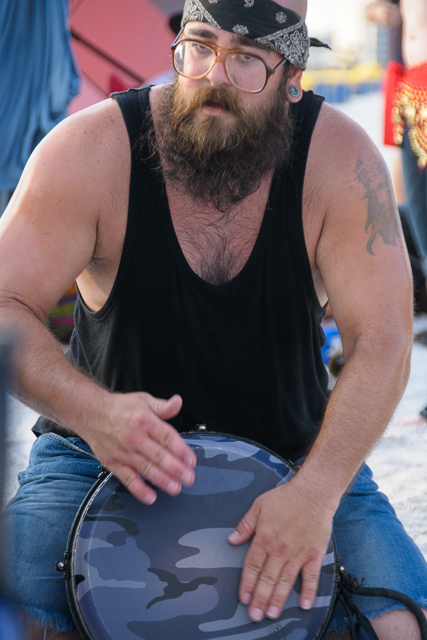 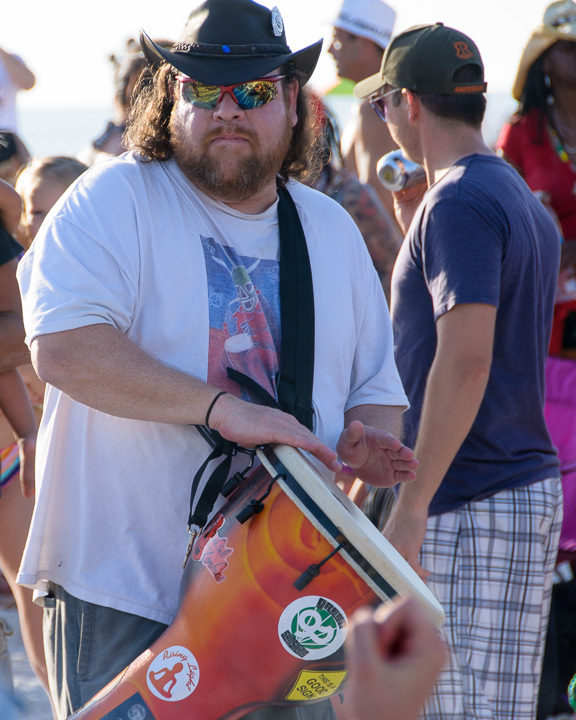 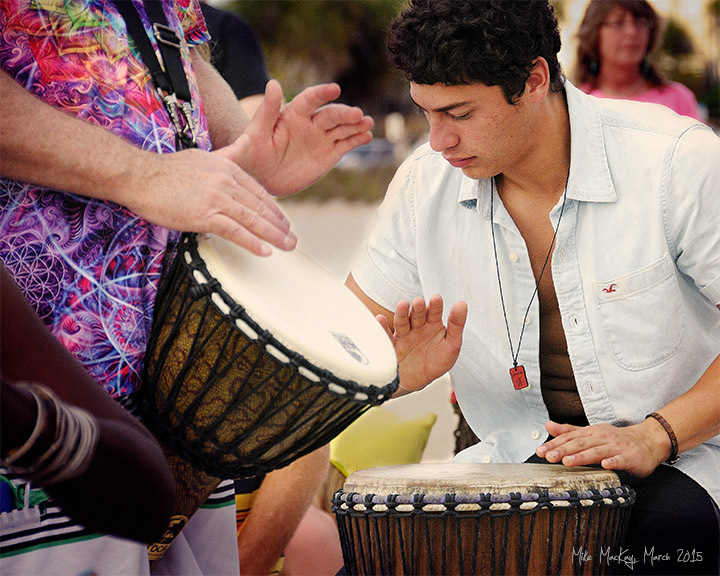 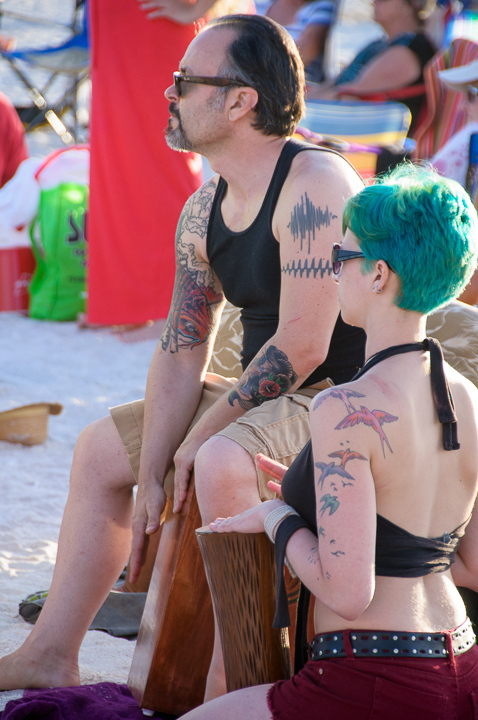 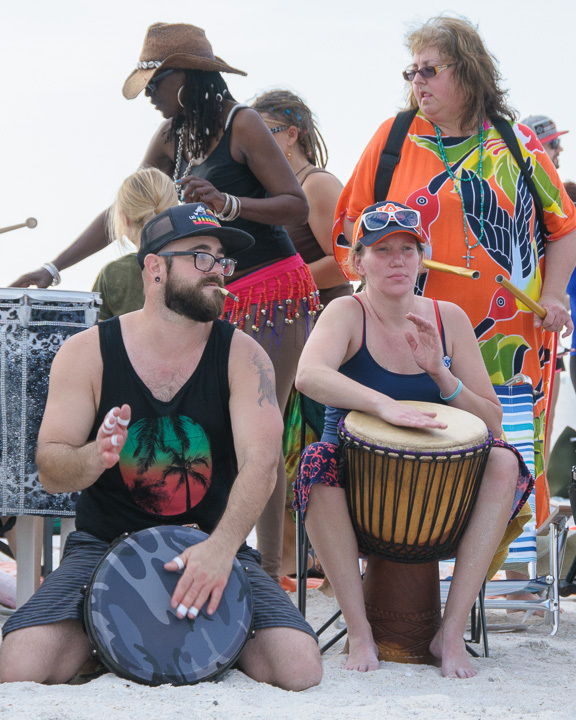 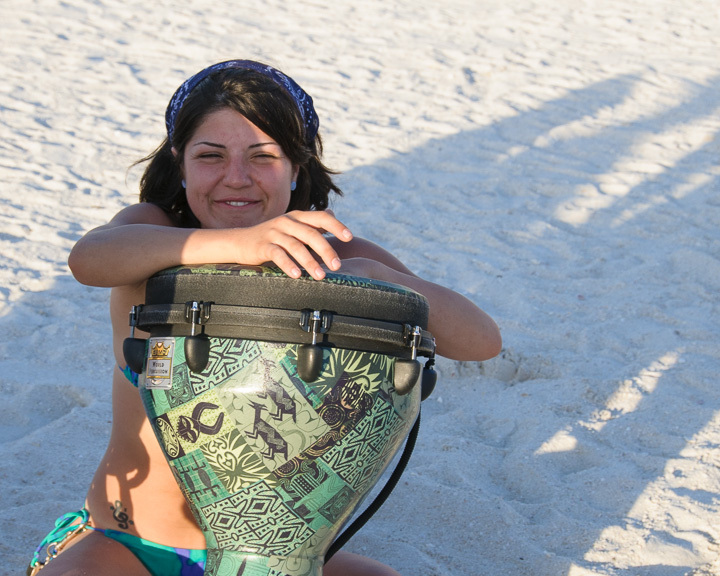 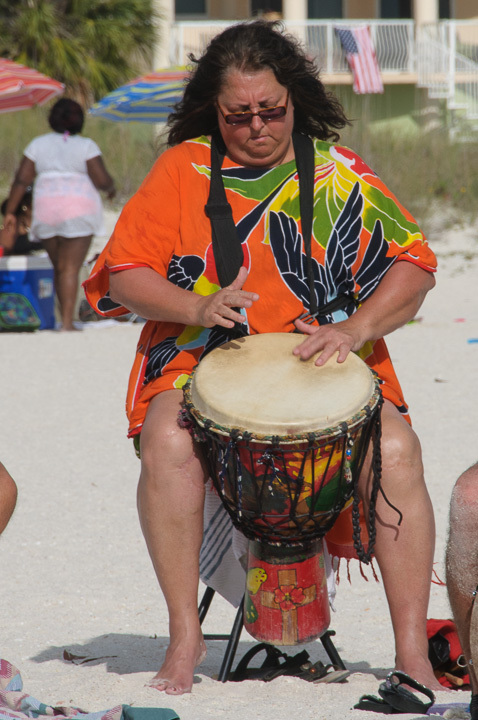 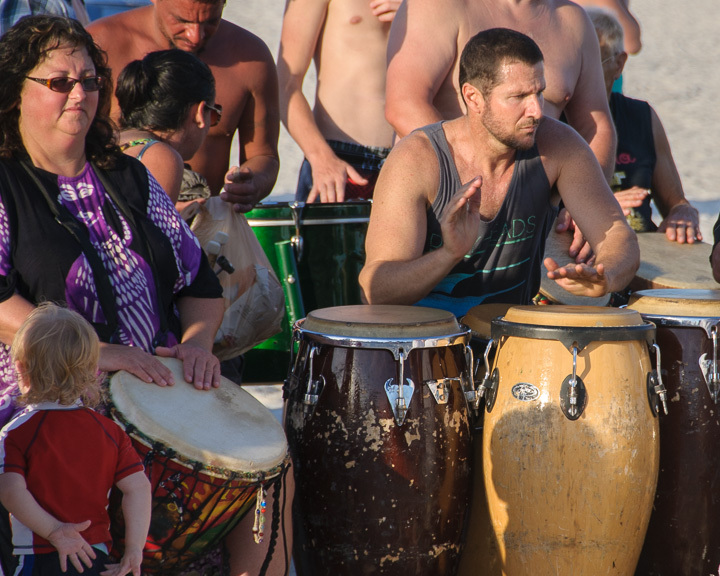 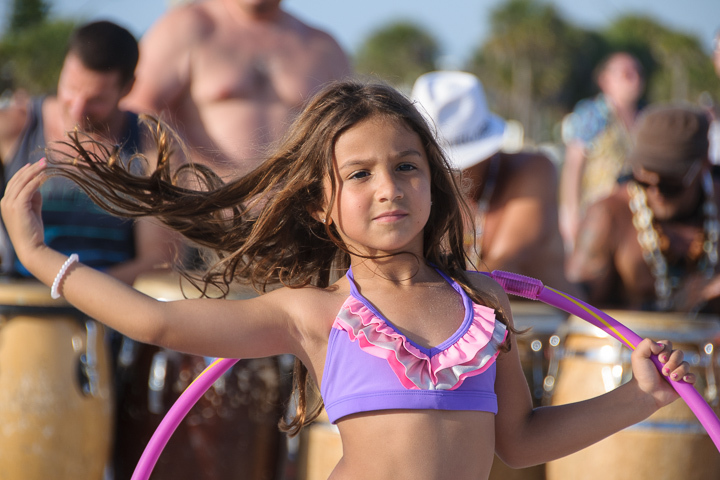 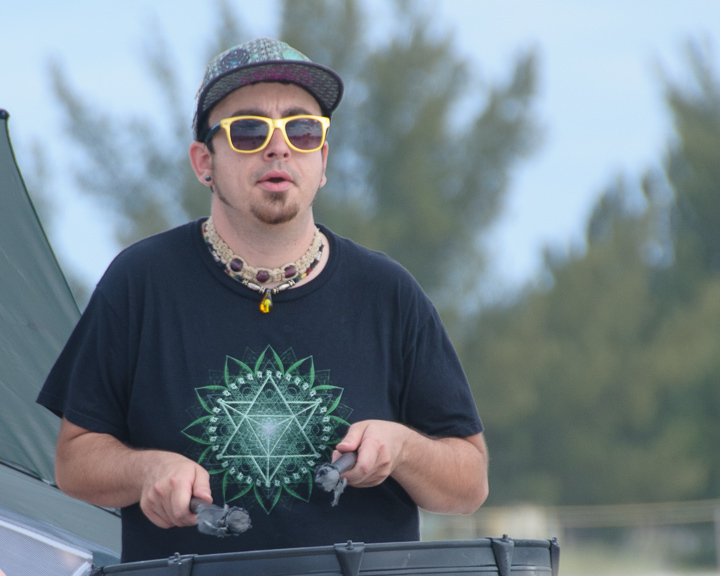 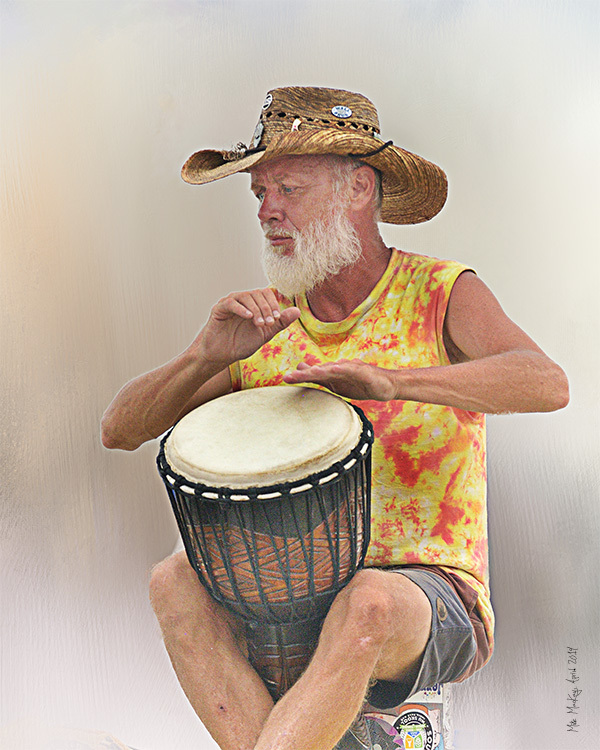 The Treasure Island Drum Circle gathers on Sunday evenings, starting at around 4:00. 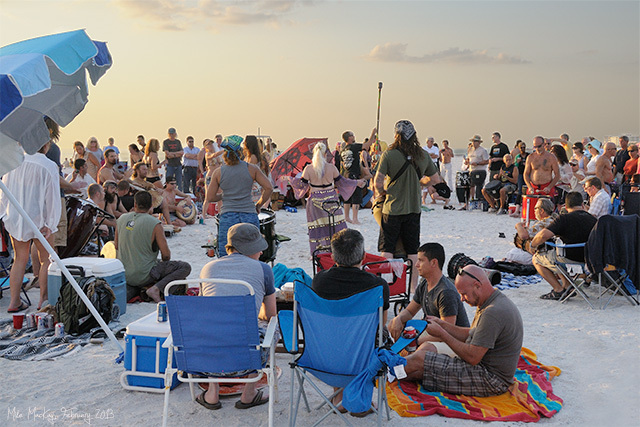 Local laws require them to stop at sunset. 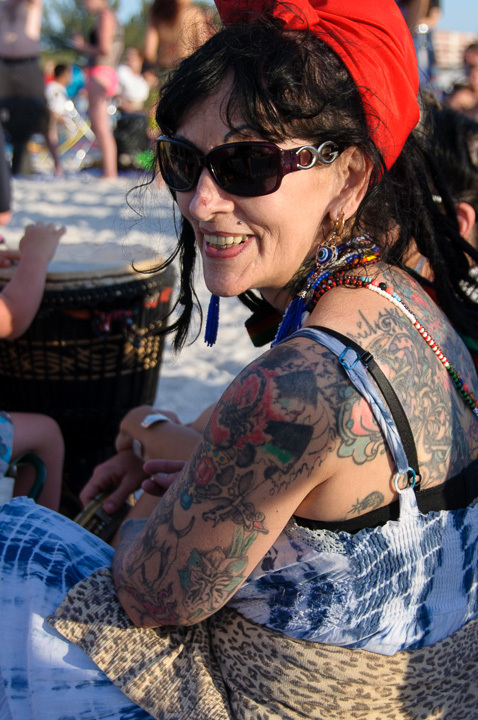 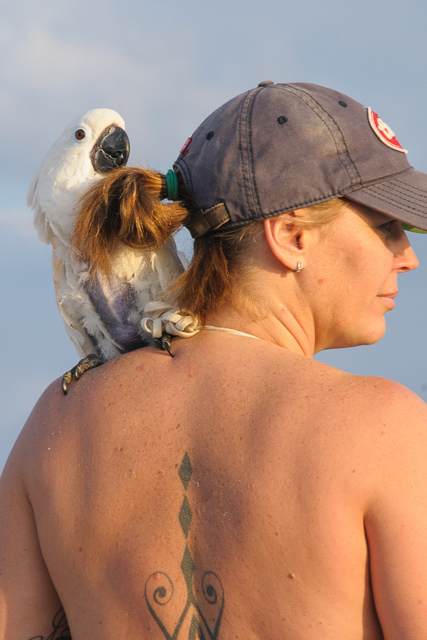 Tikituna Gertrude Kinnakeet IV Jr. 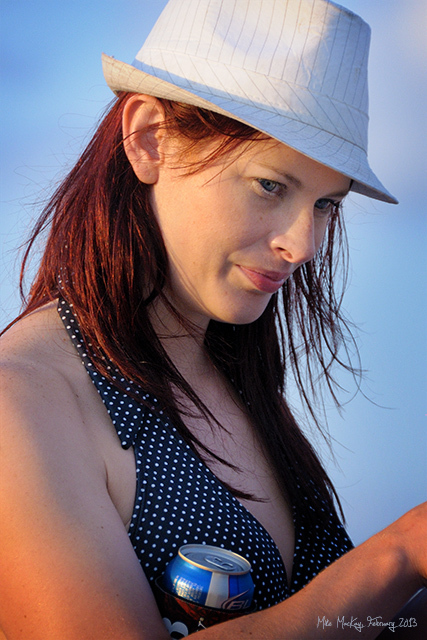 The Bell & Howell Two-Fifty-Two is an 8mm film camera. 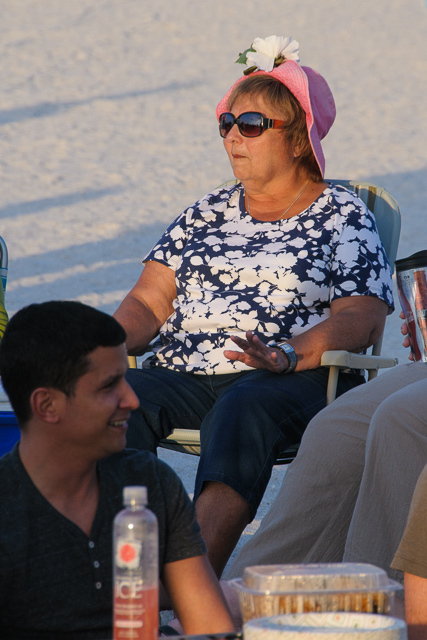 It was manufactured around 1954. 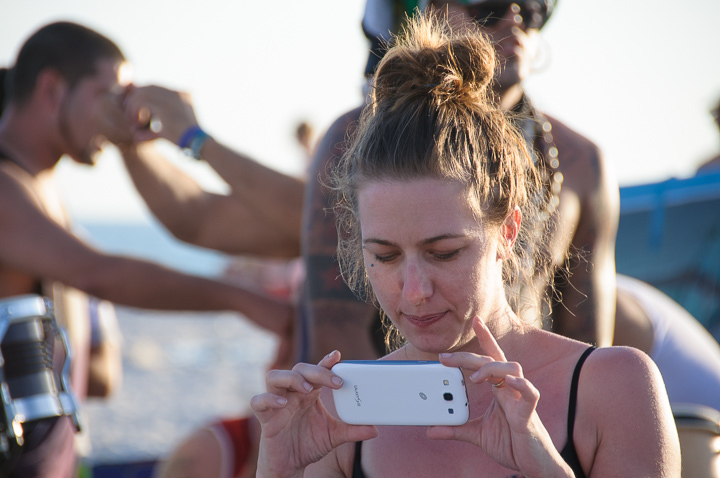 It's still possible to buy film. 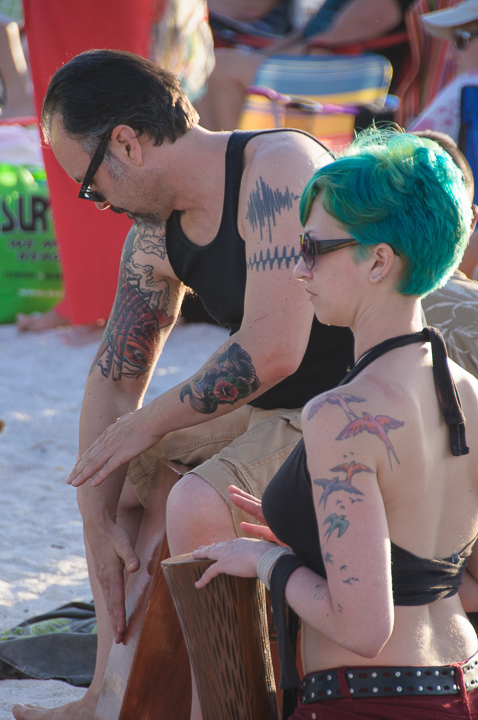 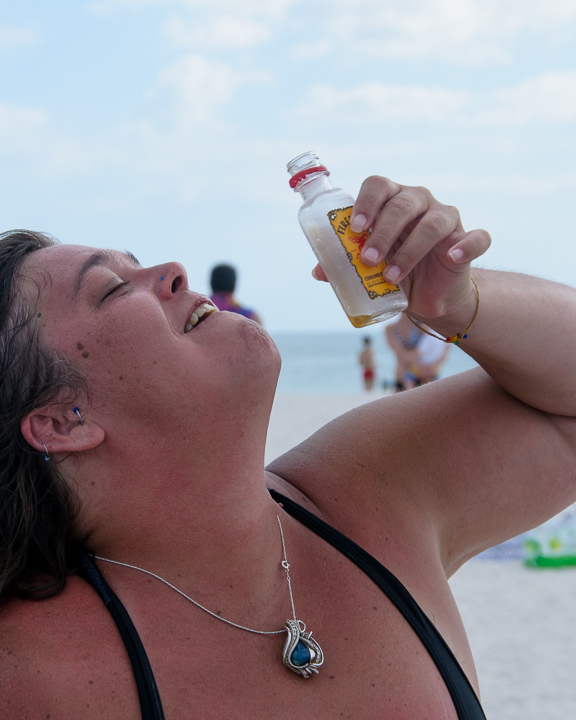 It is kind of a surprise to find a 60 year-old camera on the beach.